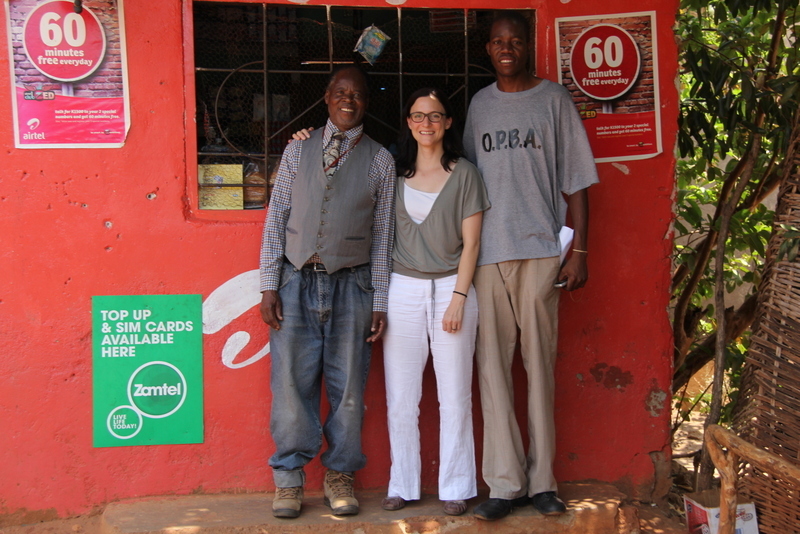 I was really looking forward to visiting the Chipata Branch in Zambia’s Eastern Province for our next series of interviews. Everybody had told me that the Eastern Province scenery was marvellous and that the people were very welcoming. On early Monday morning we left Lusaka knowing that a 7-8 hour drive on a bumpy and badly maintained road – the so-called Great East Road – was ahead of us. Even though large sums had been invested in this particular road during the last few years (the Great East Road was first built in 1925), it is still known as a dangerous road where lots of accidents happen. 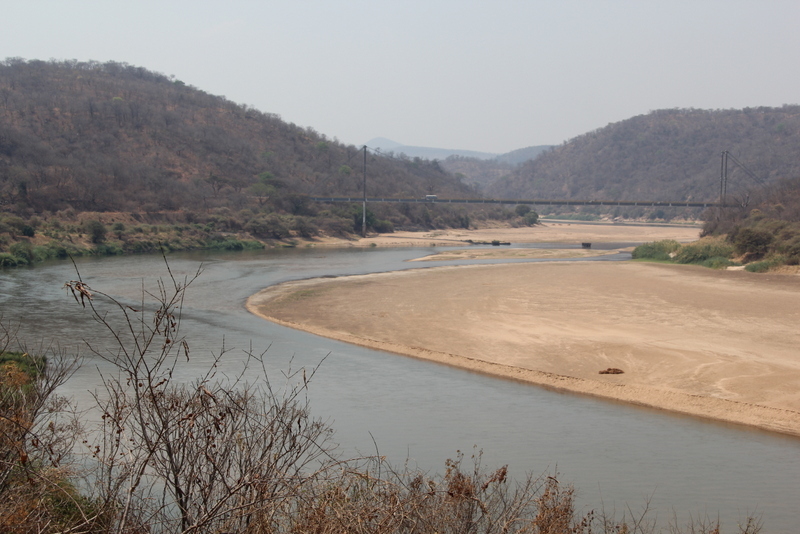 In particular between Rufunsa and Luangwa River – half-way to Chipata – where the road winds along lovely forested hills with lots of curves into the world-famous Luangwa Valley the road proved to be very challenging. 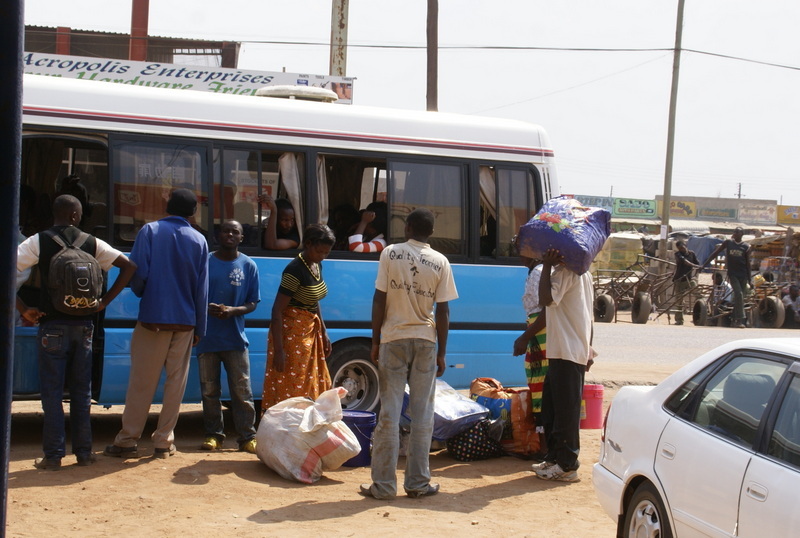 Indeed, on our way to Chipata we met quite a number of buses and lorries which had broken down or had even completely burnt out – with only the wrecks left on the roadside. You may imagine that I was very glad it was Joseph from FINCA once again driving us as smoothly as ever. 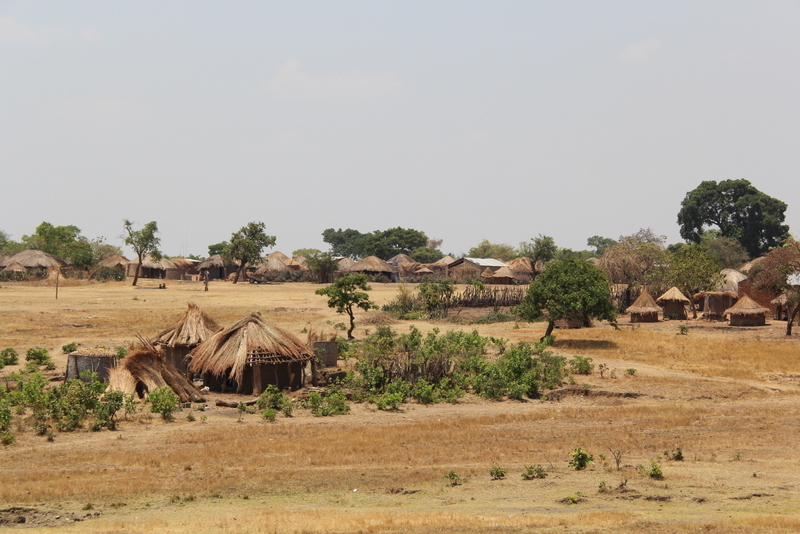 On our way, we first came to pass farms, a deserted hot spring and various compounds and villages in the outskirts of Lusaka. In Chongwe, still close to Lusaka, we found the last fuel station for some several hundred kilometers to come. It is also the place where you leave all civilization behind. 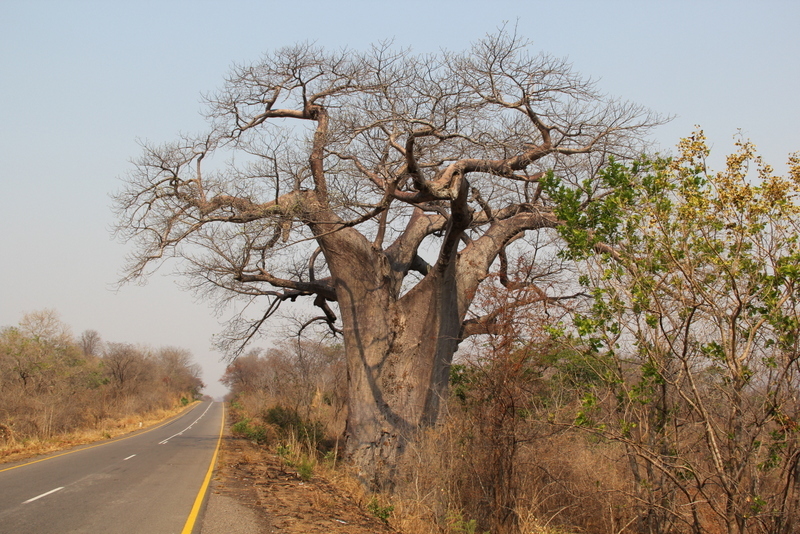 From there we drove along the border of Lower Zambezi National Park without really noticing it (the road into the park can only be used by strong and robust four-wheel drive cars and by truly experienced drivers – more on that in my next blog). 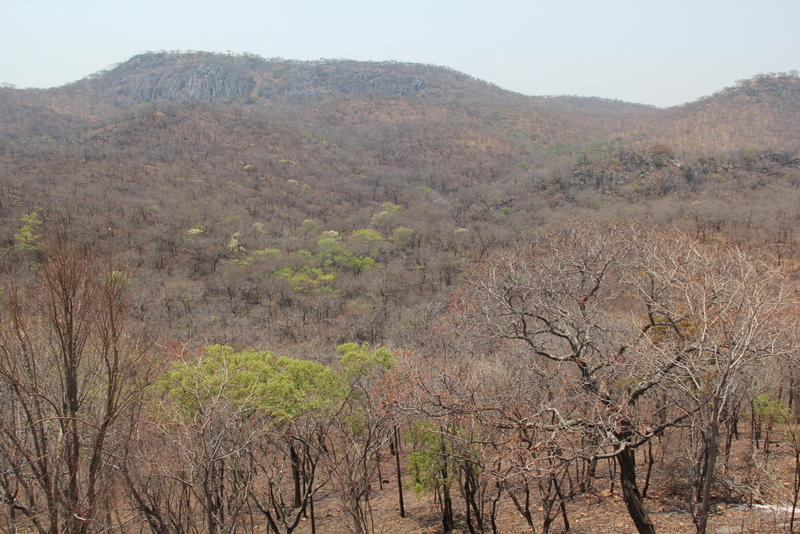 After that we reached the marvellous forested hills between Rufunsa and Luangwa Bridge. 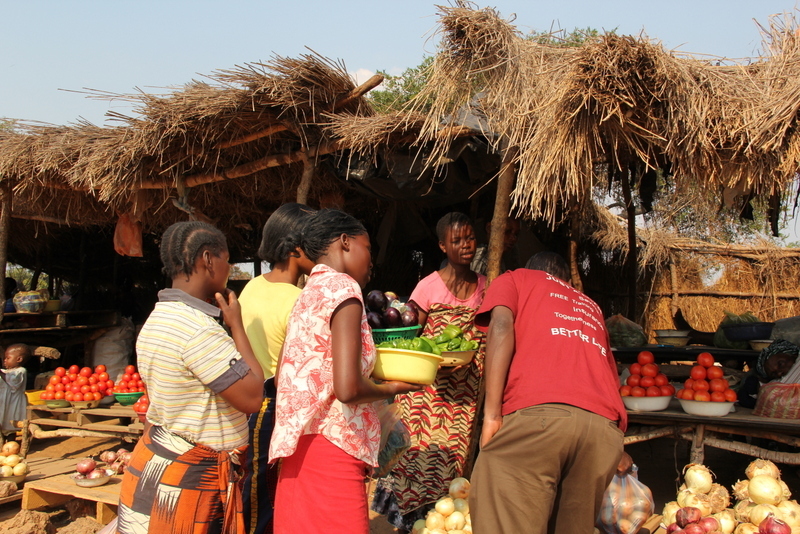 Shortly before Luangwa Bridge, we stopped at the much-renowned Luangwa Bridge Market. 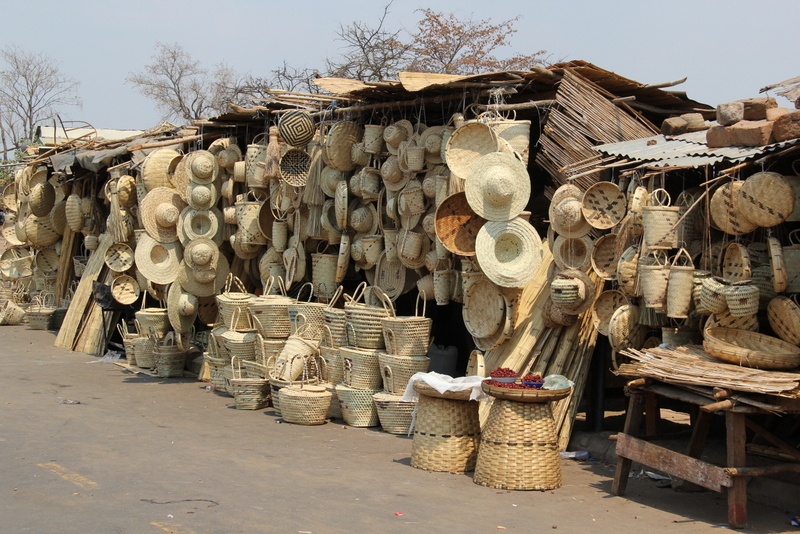 Apart from dry fish and red berries they sell all kind of baskets, huts, and mats made from dry straw. 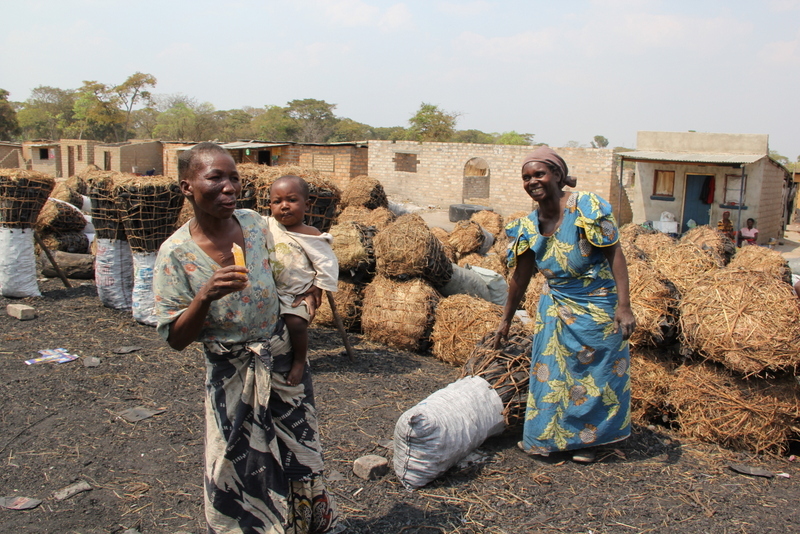 Those dry-straw products are very famous all around Zambia. There are almost no tourists since tourists prefer to take the airplane from Lusaka to the Eastern Province. Most potential clients stopping here are lorry drivers buying the nice straw goods for few money in order to sell them again in towns for much higher prices. A simple, yet well-proven business model! 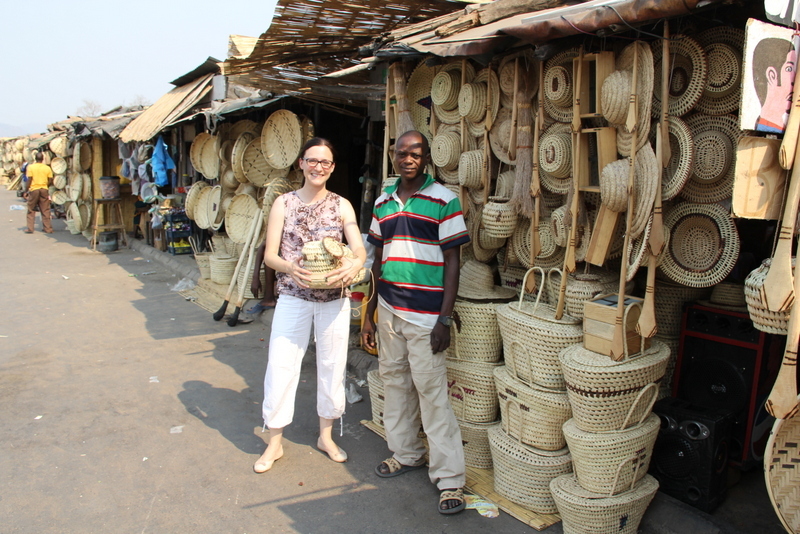 🙂 I would have loved to buy a nice basket and some straw mats, but being well-aware of the challenge to get them back home by plane, I shortened my shopping list to a few smaller souvenirs. After taking the imperative picture of the bridge over the Luangwa River, we continued our long journey. 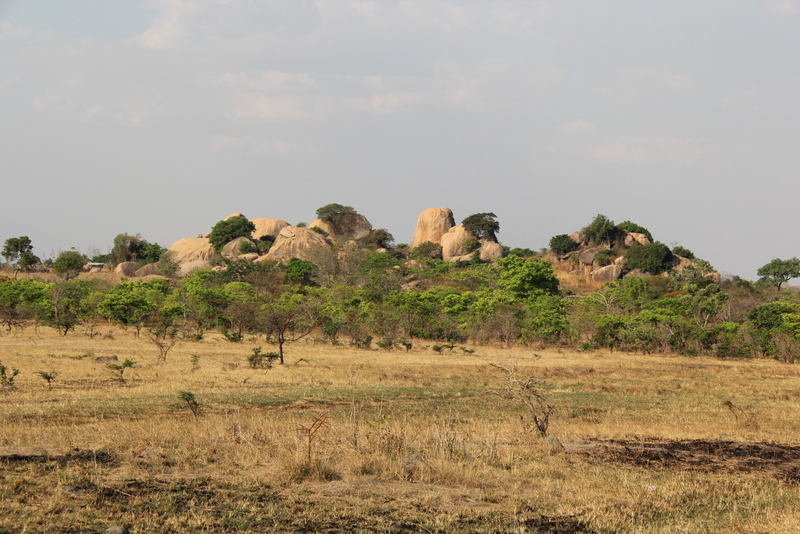 We came to pass some of those majestic baobab trees and the bright white Sterculia Quinqueloba trees, followed by a few small villages with picturesque straw huts and bizarre-looking stone hills. 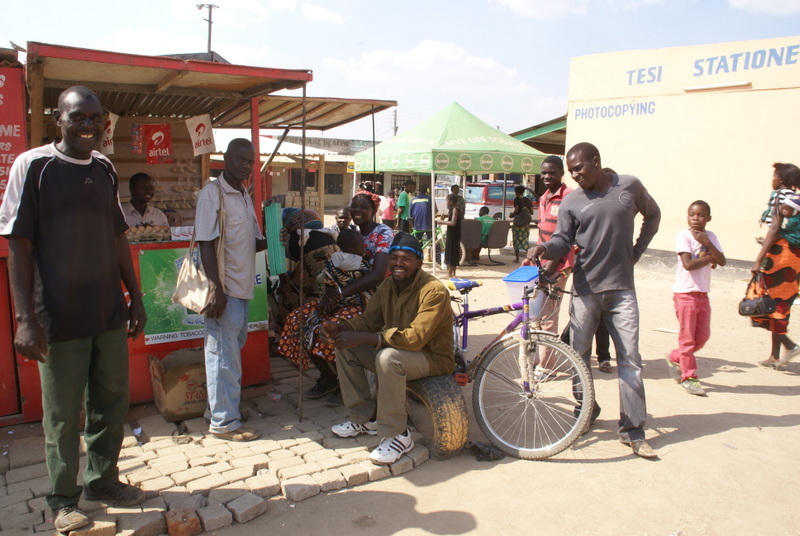 In Katete, after more than 400 km from Lusaka, we went for a quick break. Apart from a fuel station, a really bad bathroom and a few fast food stores, there was nothing else to make you stay longer. Even worse, the temperature – it was early afternoon – had risen to over 45°C. In the sun, it was just unbearably hot. 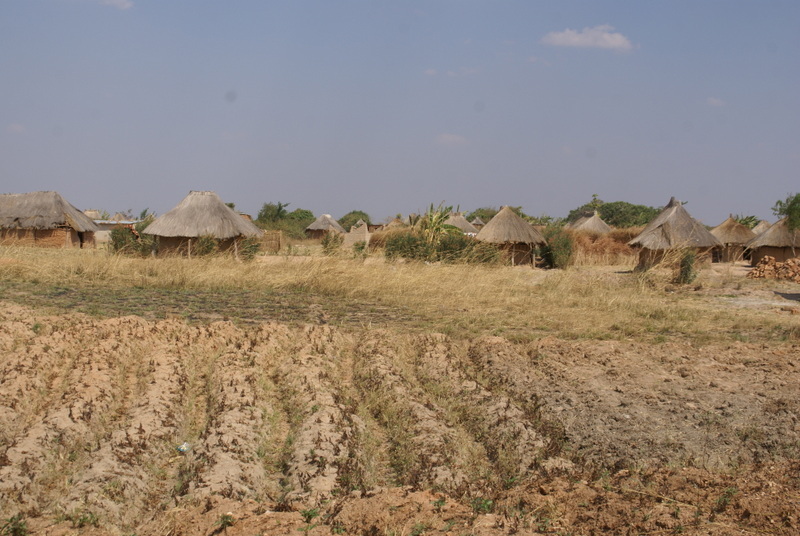 Of course, October is the end of the dry season and therefore very hot throughout Zambia, but the Luangwa Valley seems to be particularly boiling. Thus, after buying some oily chicken and chips and an ice-cold coca cola, we eagerly squeezed into the car highly appreciating the air-conditioning. But on the first evening, we were just eager to get some sleep. On the following day, the welcome by Thomas Zox Phiri (the Branch Manager of FINCA Chipata), Suwilanji Simbeye (his deputy) and their team was very warm. 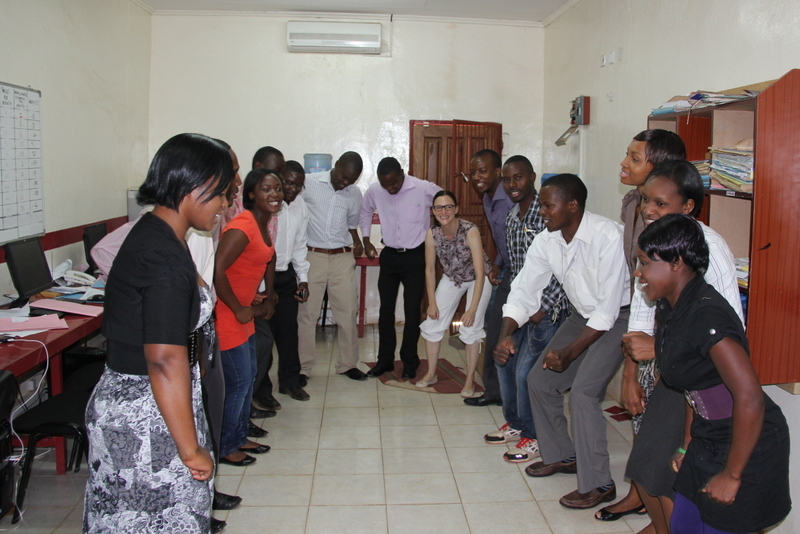 After a brief prayer with the whole team – a very common routine here in Zambia, even before a bus ride – we got presented the Chipata morning exercise by Dismas Phiri and the team. This is a mixture of African singing and dancing: “You take a ball, you put it here, you pepetaa, you pepetaa, you pepetaa…”… I am not quite sure how my team back in Zurich would respond if I introduced the procedure there. Yet, it is definitely great fun – and what could be better than starting a new work day with fun. Unsurprisingly, with such a great team we progressed extremely well with the interviews. For once, our biggest challenge was the heat – in the field as well as in the office as air conditioning was not running. As Swiss as I am one may assume that I was quite struggling to cope with the temperature 45°C. Yet, my local working colleagues were also struggling – at least they don’t need as much sun cream as I do. I was also impressed that some of my male colleagues were so brave as to wear black suits – respect! What a privilege by women in summertime that we don’t suffer from such restrictions. Despite the heat, we had some very good meetings with clients. 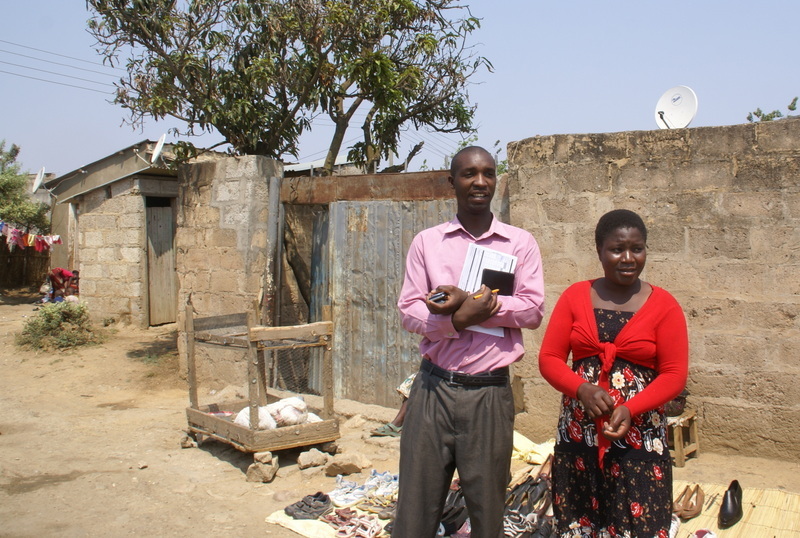 Nice examples are Miriam Mulenga who owns a small boutique at the Kapata market or Joseph Banda who runs a Grocery shop at one of the compounds. Joseph even invited us to his home. It turned out that he is actually a cousin of our driver Joseph. 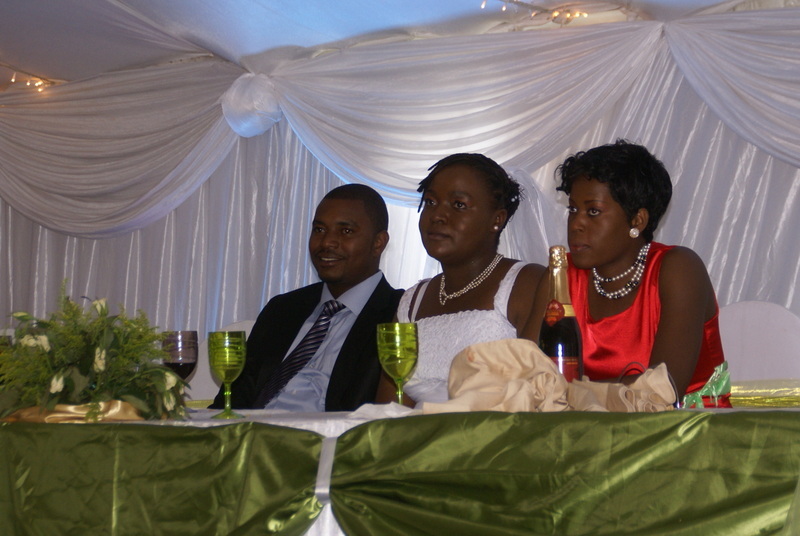 He was very proud to introduce his lovely parents, his sister and his brothers and his wife with their daughter. 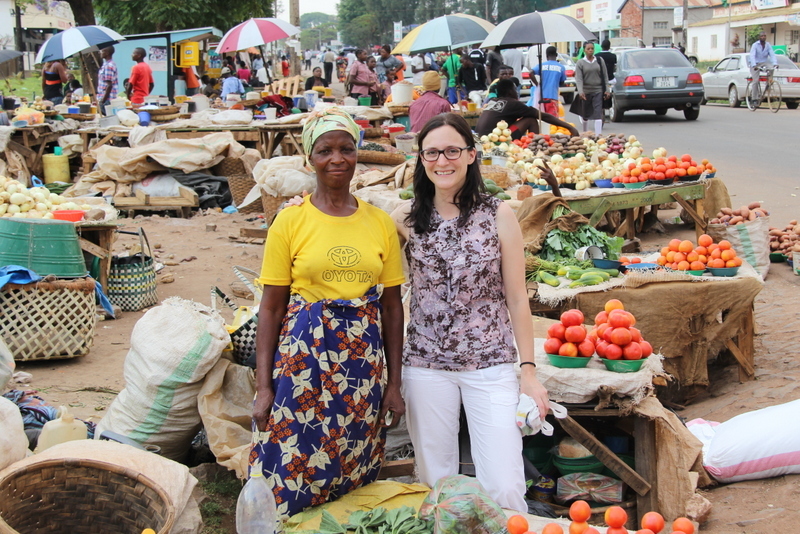 Since we progressed so well we found some time to visit two of the many lovely markets at the end of our journey. I was impressed how big these markets are. 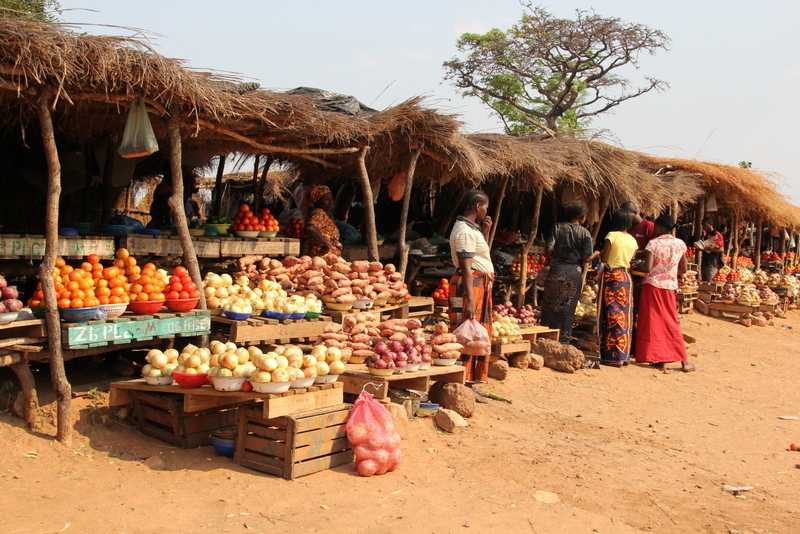 You can buy everything from food and pots to clothes and shoes to equipment for agriculture and gravestones. 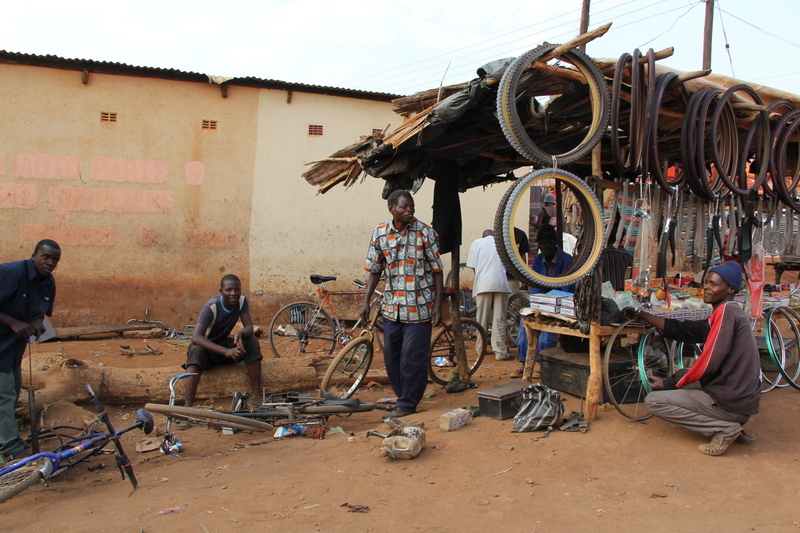 But what makes Chipata really different from other towns in Zambia are the bike taxis. 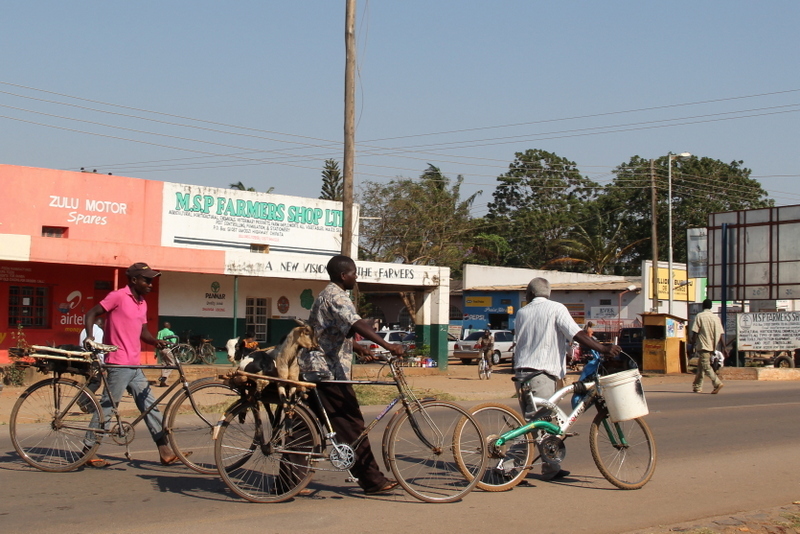 Particularly in the morning and evening hours, you can see lots of bikes with someone at the back just driving to or coming from a market. Bikes seem to be the main transport means apart from just walking. They transport not only passengers and goods but also animals such as goats. I would have loved to just sit outside of the FINCA office observing the many bikes passing by. But it was already time to say good-bye and to drive back to Lusaka – another air-conditioned 7-8 hour drive through beautiful landscape and suffocating heat outside. Copper mining is one of major industries in Zambia. At the beginning of the 20th century, copper and other natural resources were discovered in the north of Zambia and the first mines were established. Today, a great many of mines are present in the so-called Copperbelt – most of them managed by Chinese, South African or Brazilian companies. They are the biggest employers in the region. With approx. six percent of the world’s copper resources, Zambia is one of the main copper exporters worldwide. Whereas copper prices significantly increased between 2004 and 2008 causing an actual copper boom, they have decreased ever since, affecting Zambia’s economy significantly due to its high dependency on copper. 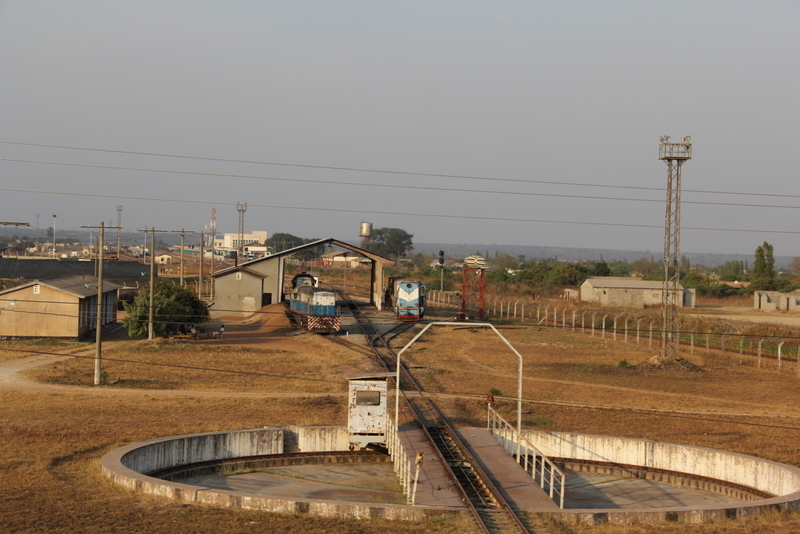 Nevertheless, the Copperbelt is still one of the most important regions for Zambia’s economy. Knowing about this, you may well imagine that I was quite excited to travel to the Copperbelt for two weeks. 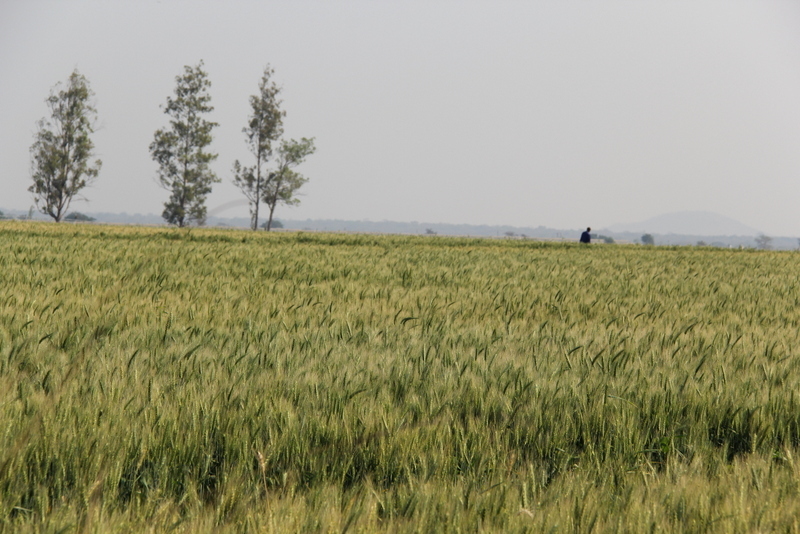 The landscape in general is not as impressive as in Southern Zambia. After leaving Lusaka following the Great North Road you pass many big farms, most of them run by Non-Zambian owners. 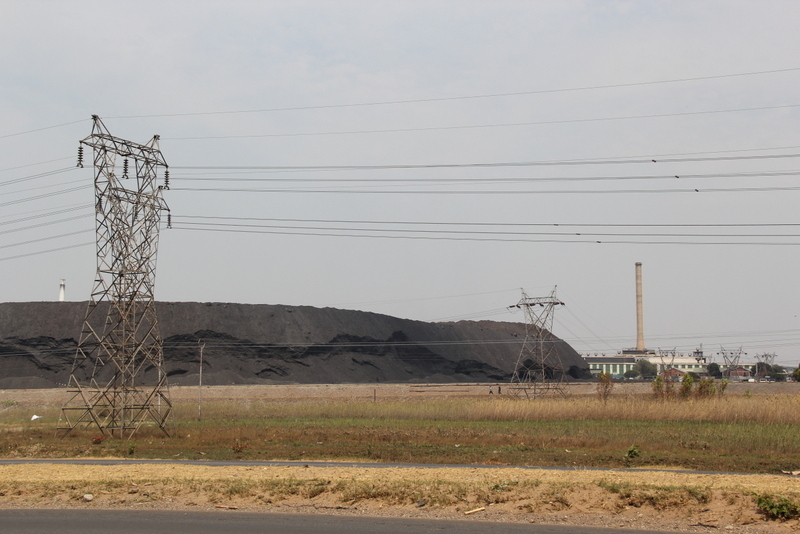 The road is in much better condition than in the south but it is overcrowded with hundreds of big lorries carrying copper and other goods via Zimbabwe to the big harbours in South Africa. 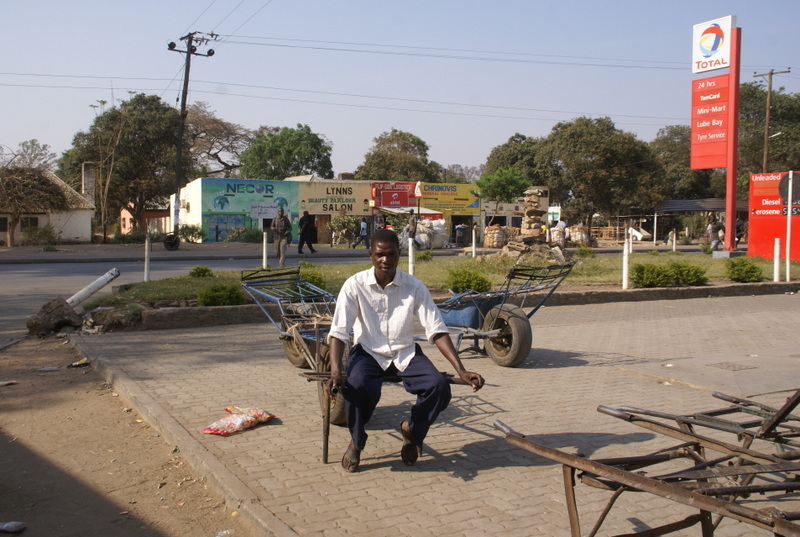 After about two hours we arrived in Kabwe, once the largest town of British North Rhodesia, but now quite a sleepy small town. A huge tree in the town centre used to be the meeting place of the first explorers in the colonial area. Nowadays, people like the tree’s shade for their daily market. 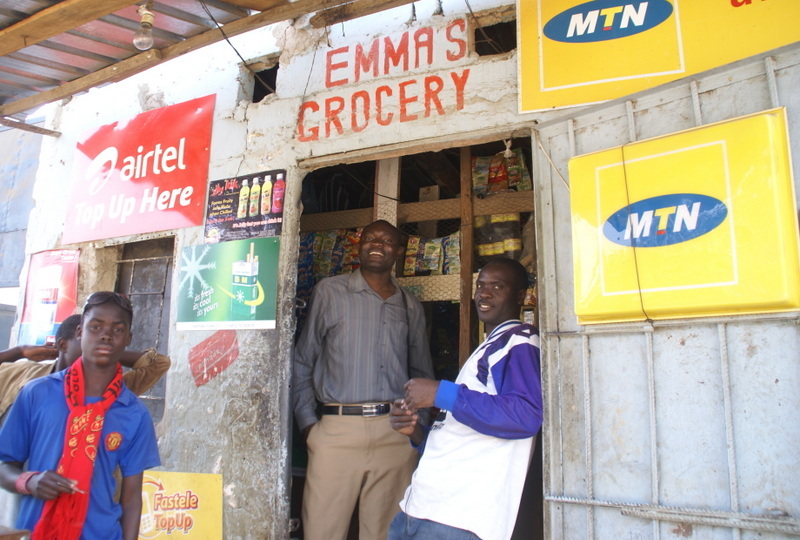 The FINCA office in Kabwe is well-placed right at that market. We briefly stopped to say hello and to deliver some equipment from the Lusaka headquarter. 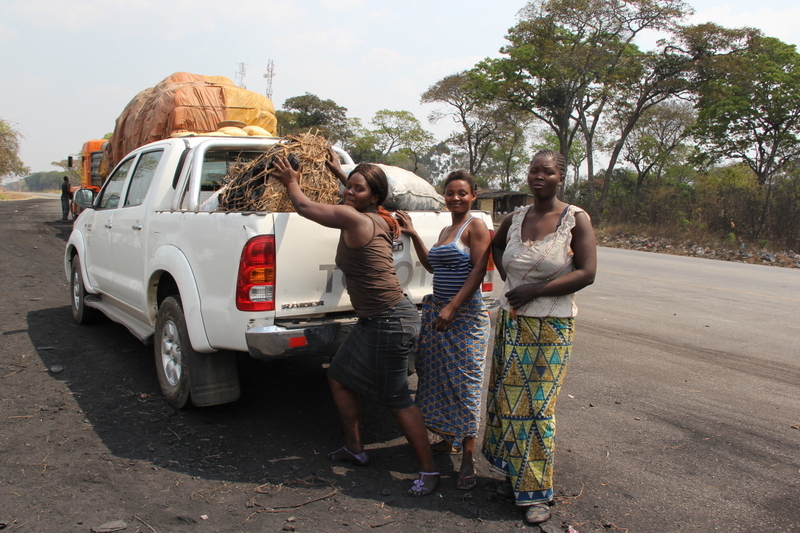 Our final destination was Ndola – another 2-3 hours’ drive further north along rather unattractive landscape. 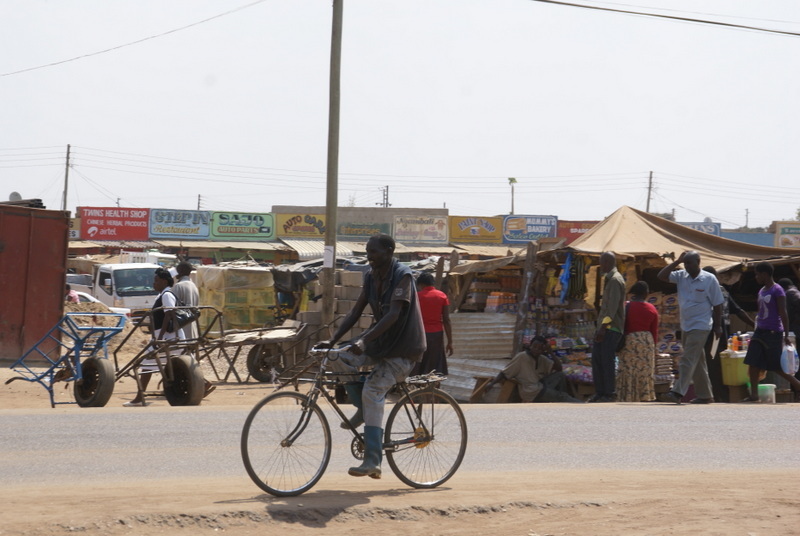 The only variety were the small markets and the dusty town of Kapiri Mposhi, a meeting point for lorry drivers with a market, a fuel station and some low-level accommodations. 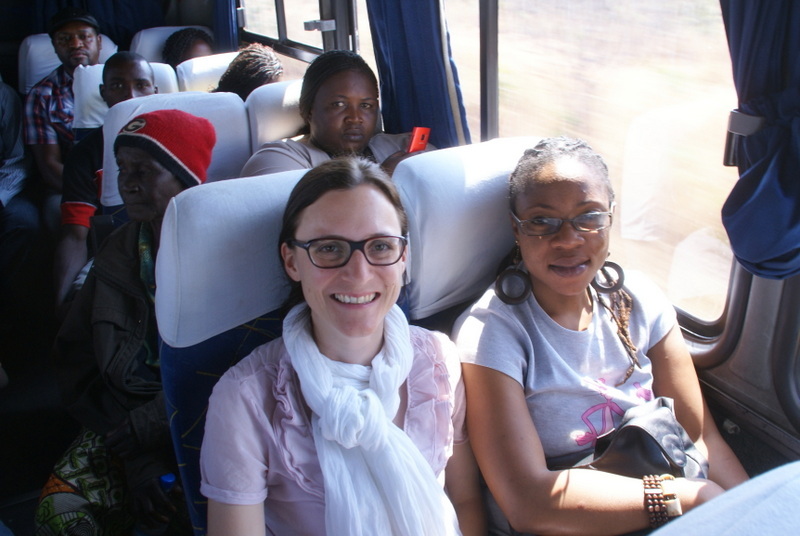 You easily get a feeling of being at the end of the world, which it is quite true for the famous TAZARA train which connects Zambia with Dar-es-Salaam in Tanzania. 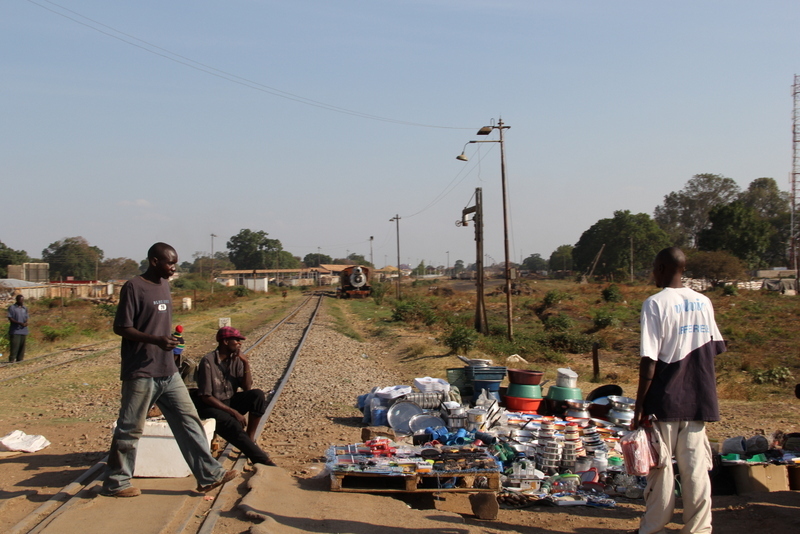 The railway ends in Kapiri Mposhi at a nostalgic train station with an old railway turning platform. 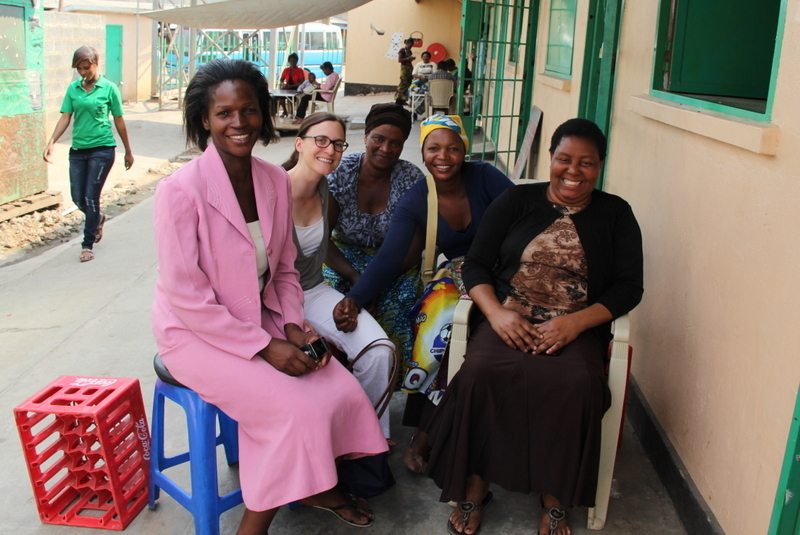 Tired but happy we arrived in Ndola, the second largest town of Zambia. 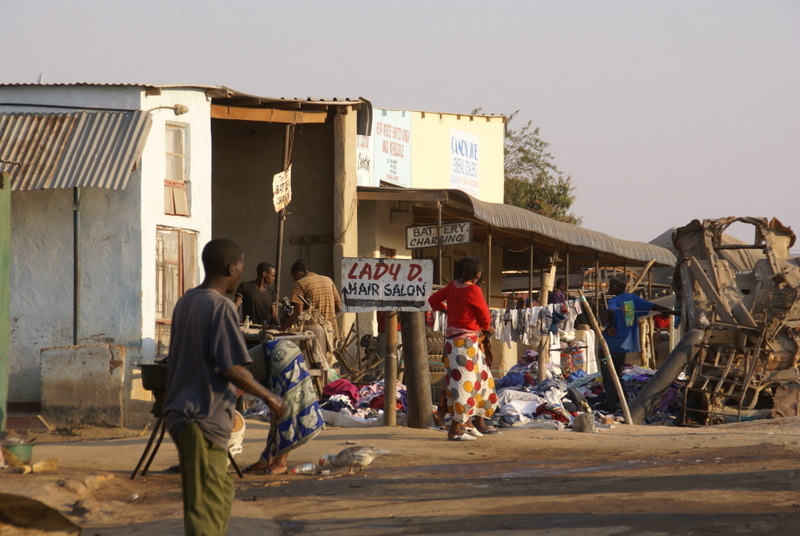 Even though it is one of Zambia’s most important industrial cities, the town is not at all as crowded, noisy and dirty as you may expect. 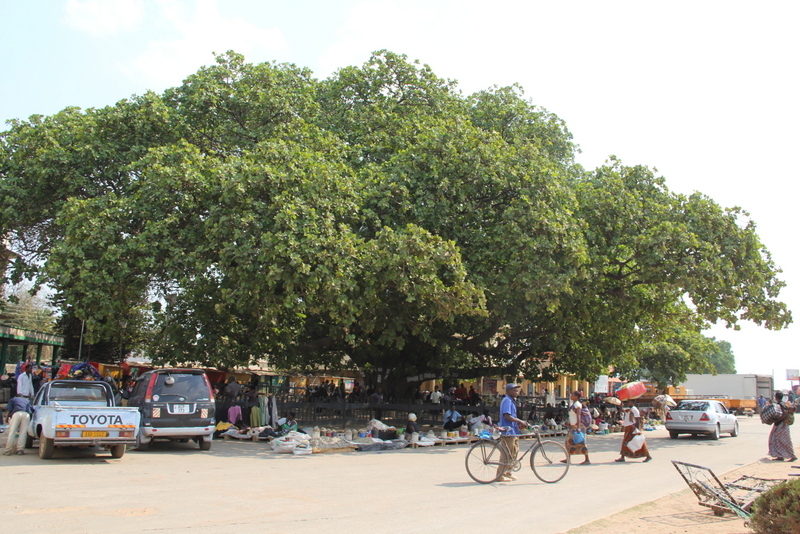 As in Lusaka, there are big trees along the streets and on the whole there is a very relaxed atmosphere. I really liked the town as well as its well-run FINCA office. The welcome by the local FINCA team in its large, bright and clean office was very warm. We only had got 2.5 days to conduct almost 40 interviews. Thanks to the great support by the local team and some extra effort by ourselves we were able to reach our ambitious targets. 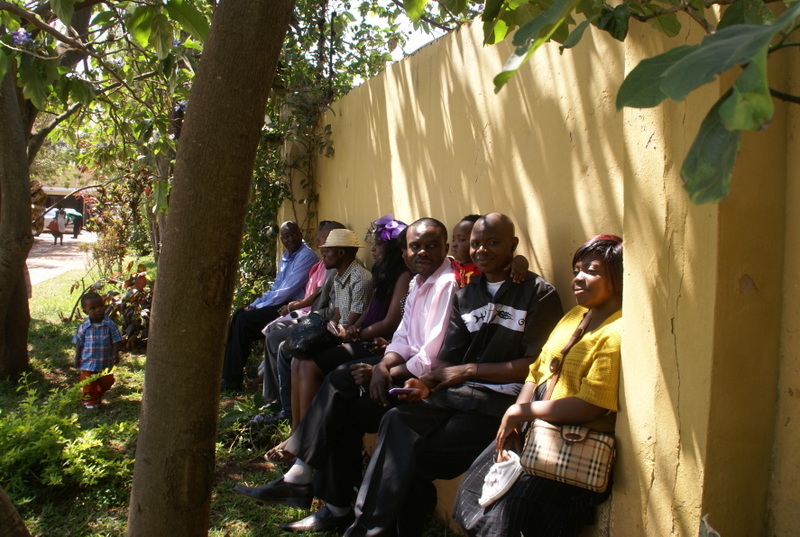 In order to save time we met most clients for the interviews at the FINCA office. But you get to know your clients best if you visit them at their homes and businesses. Hence, we also visited some clients in the field. As with Swiss people, it always needs some time to gain the interviewees’ confidence. Taking enough time, I have always been truly touched by welcoming and happy attitude of the women clients such as the Village Banking Groups ‘Chabota’ or ‘The Just’. 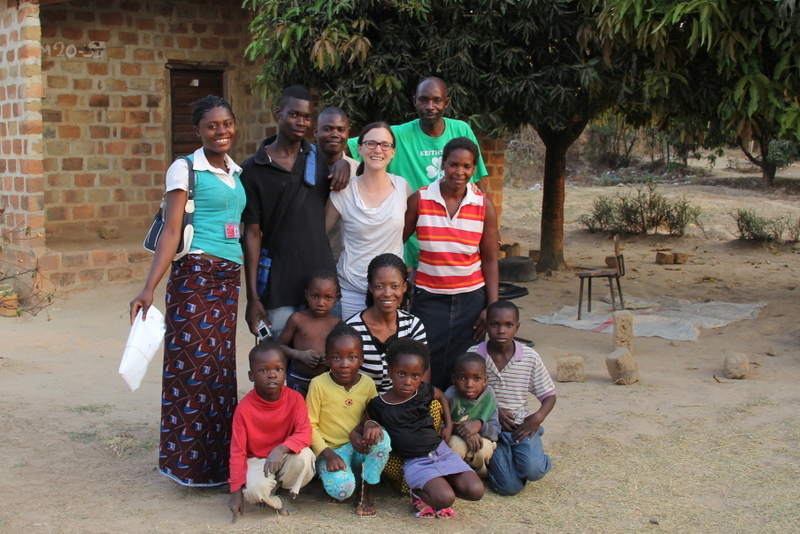 Even Kitwe’s FINCA office is less appealing than others, having no water in the bathroom and being situated in a dark and narrow building – yet the local FINCA team was truly fantastic. The welcome and support by Fewdays, FINCA’s branch and regional head, as well as by his team was simply great. 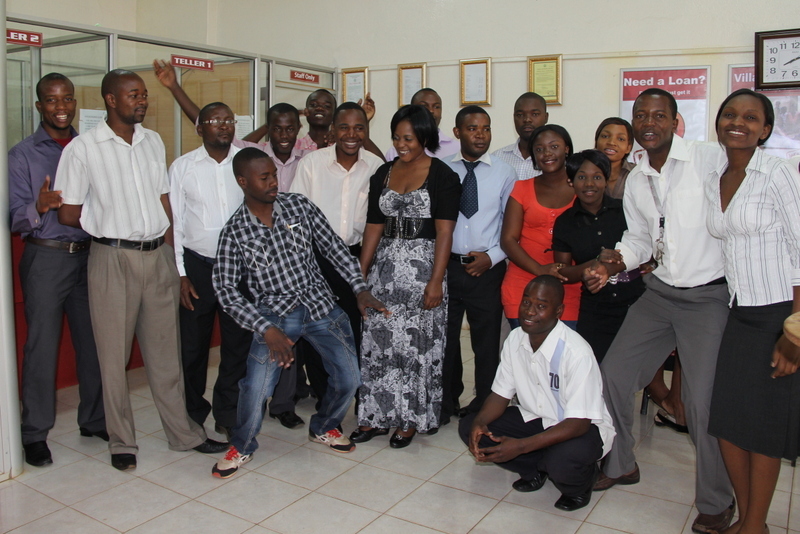 I was impressed by the team spirit and high motivation of the loan officers. It seems that this spirit has also an impact on the business results as they cover more clients than at the FINCA headquarter branch (Northmead). 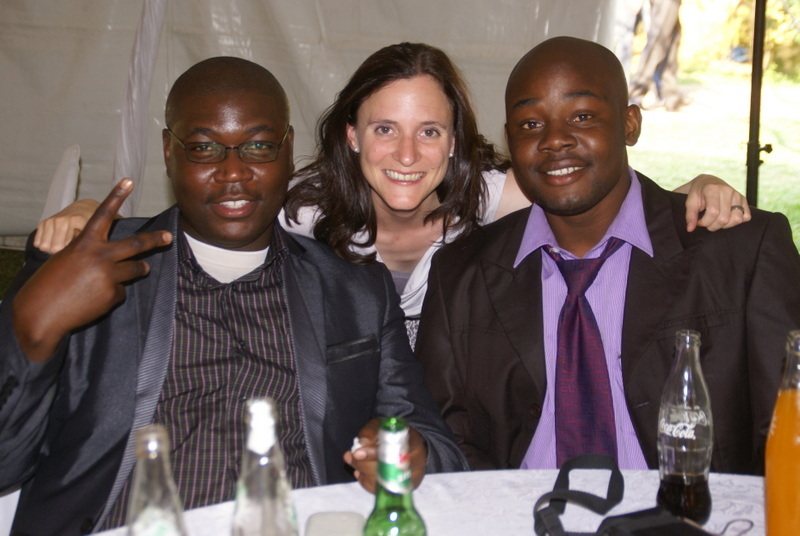 This is why our target of almost 70 interviews was even more ambitious than the 40 interviews in Ndola. In the end, with the support of such a great local team and a tremendous effort from Joseph, Muyumbana and myself we ended up with the fantastic achievement of 80 interviews. What a success! Despite the ambitious goals we are now even a few weeks ahead of our workplan. 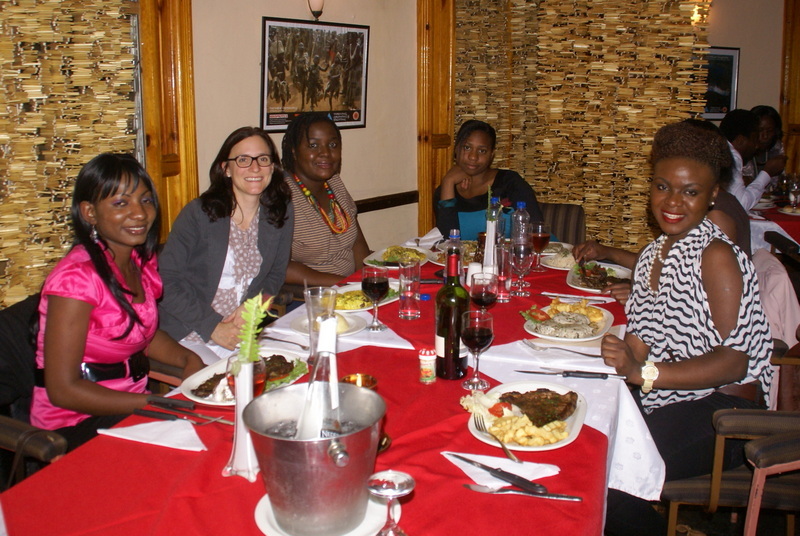 This was reason enough to celebrate – with Mosi beer at the fast food restaurant ‘After Ten’ – probably the only somehow recommendable restaurant in Kitwe. 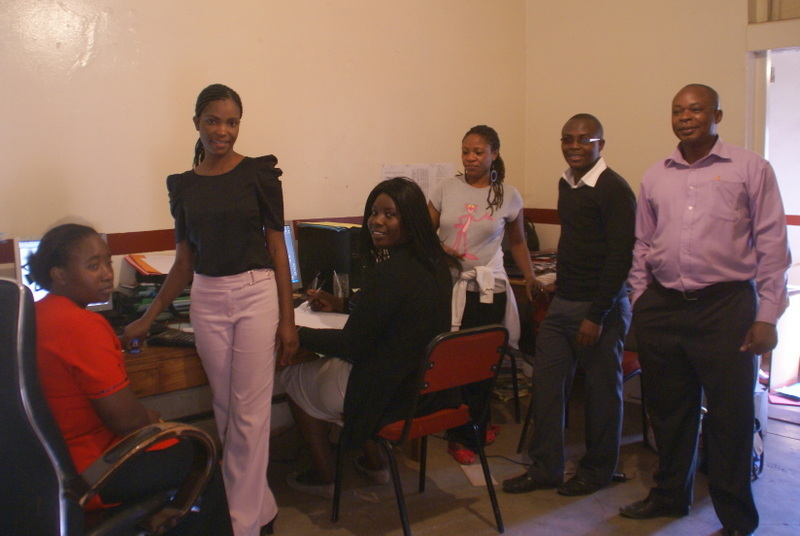 Before travelling back to Lusaka we took the opportunity to visit as well the new FINCA branch in Chingola. It takes at least another hour’s drive on a very bad and bumpy road. 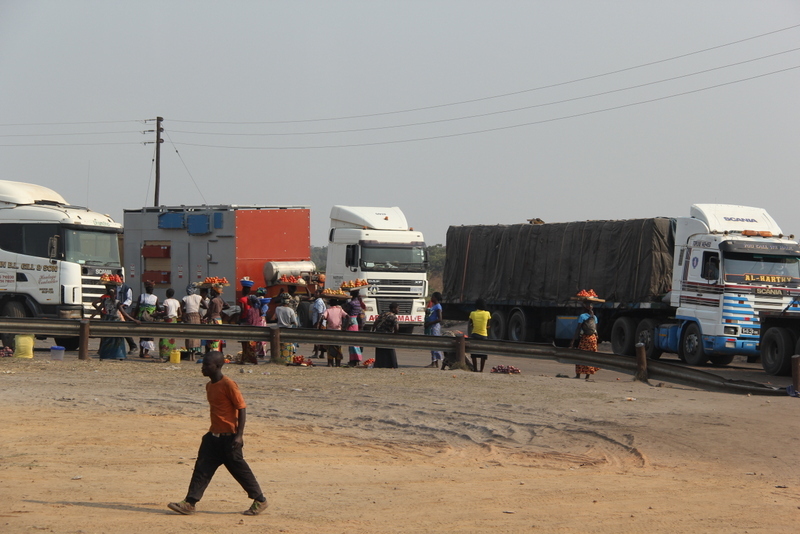 Depending on the traffic with its heavy lorries from the mines, it can easily take much longer. The landscape again is rather unattractive and you pass mines after mines. At least the town of Chingola itself seemed to be nicer and friendlier than Kitwe. 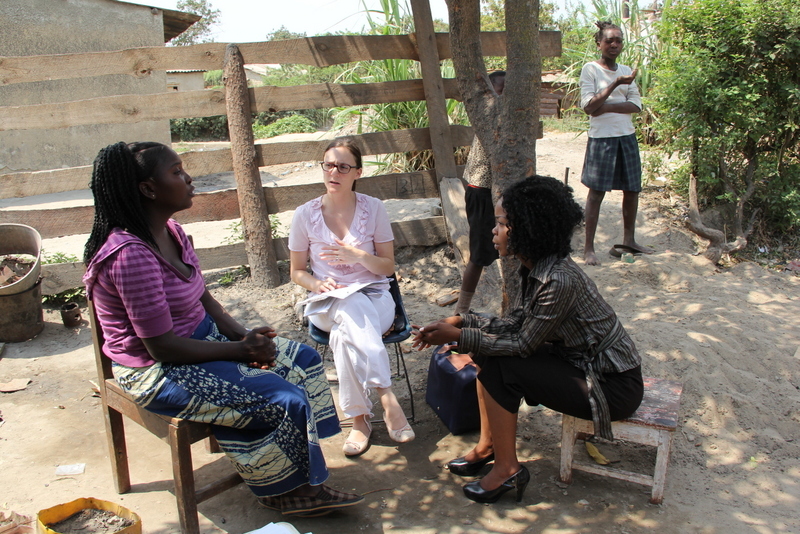 We spent only a few hours there to conduct some more interviews. 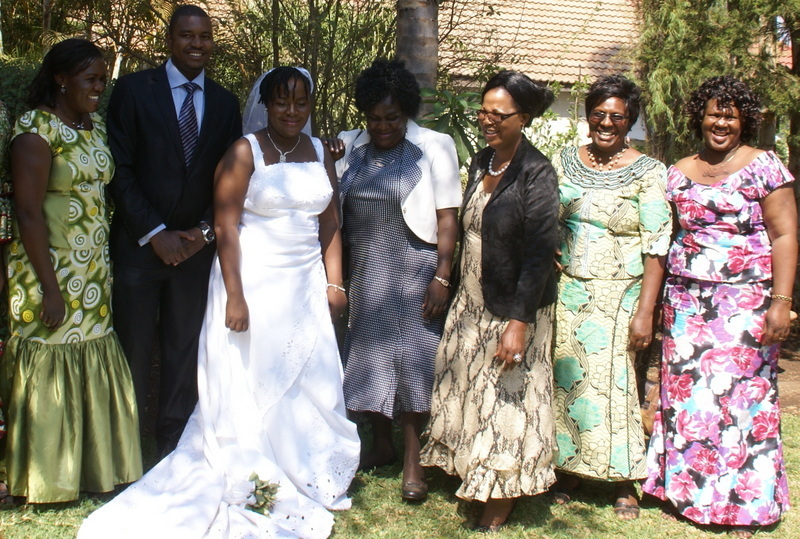 When Chibesa, also working for Credit Suisse in London, and Makaika, her younger sister living in Lusaka, mentioned that they would be very pleased if I were their guest at Makaika’s weeding, I didn’t hesitate any moment to confirm the generous invitation. 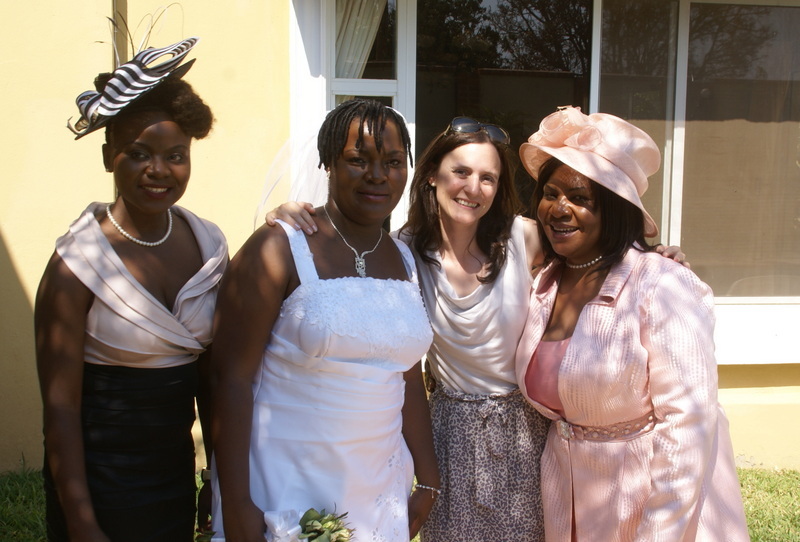 How lucky I am – being invited to a lovely Zambian wedding of two lovely Zambian friends. I was actually quite excited to be part of Makaika & Miyanda’s great day. 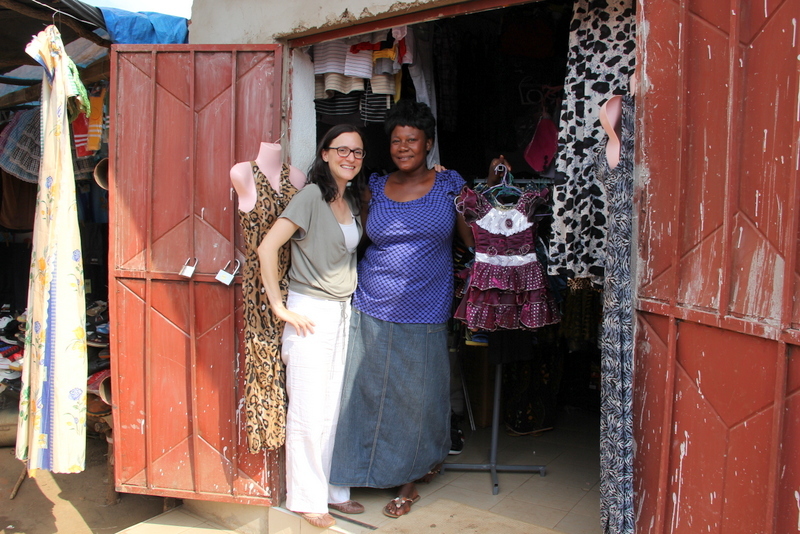 Luckily, I wasn’t supposed to be dressed in a traditional Zambian dress. It definitely would have been an unforgettable event, but it just doesn’t look as great on my pale skin as when Zambian ladies wear the colourful dresses with the characteristic patterns. For men it is of course much easier anyway – as in Europe they just wear dark suits. 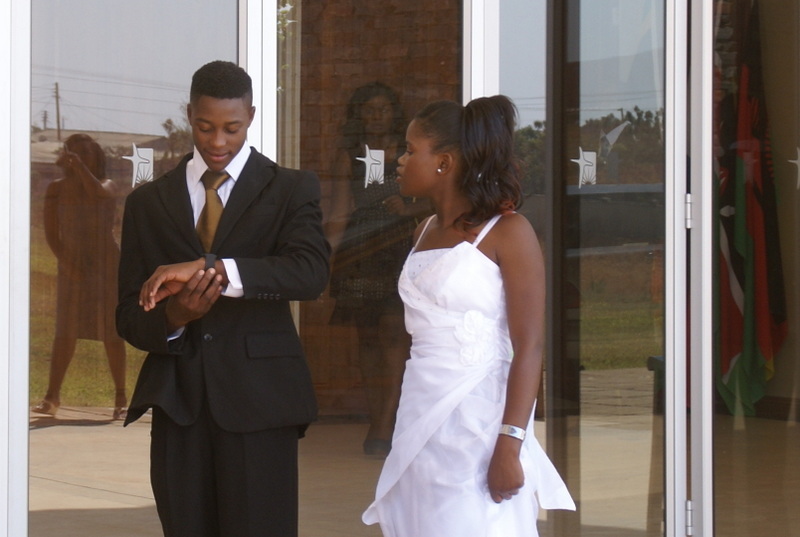 As Swiss as I am, I arrived straight on time at the church, just to find out that I was among the very first guests, apart from Chibesa and her lovely parents. 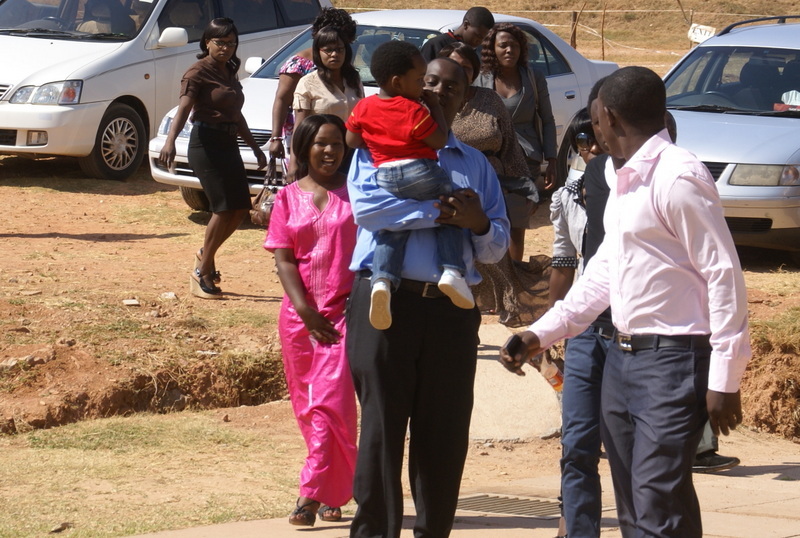 Little by little relatives and friends were arriving at the church and the excitement was ever increasing – just to culminate when the beautifully dressed Makaika was driven to the entrance of the church. Everything would have been just perfect – yet there was no groom. With a slight delay of about half an hour, the wedding ceremony was finally ready to start. 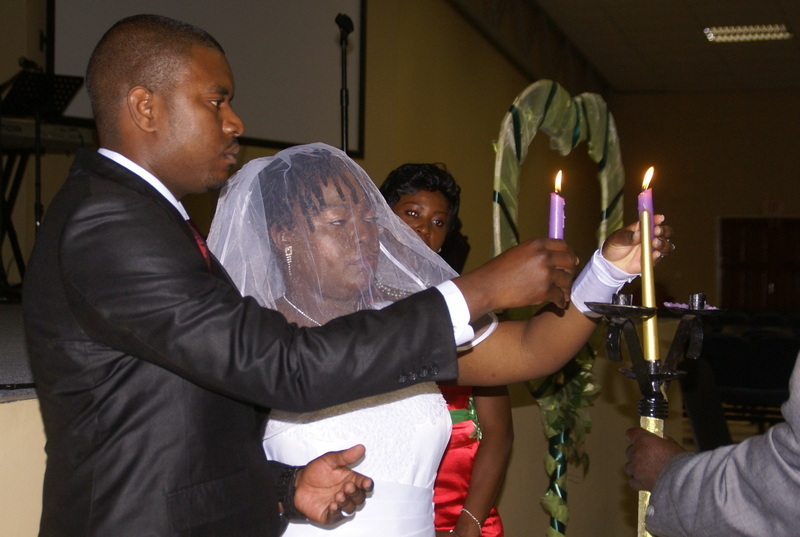 Most people in Zambia are very religious and take the wedding ceremony very seriously. 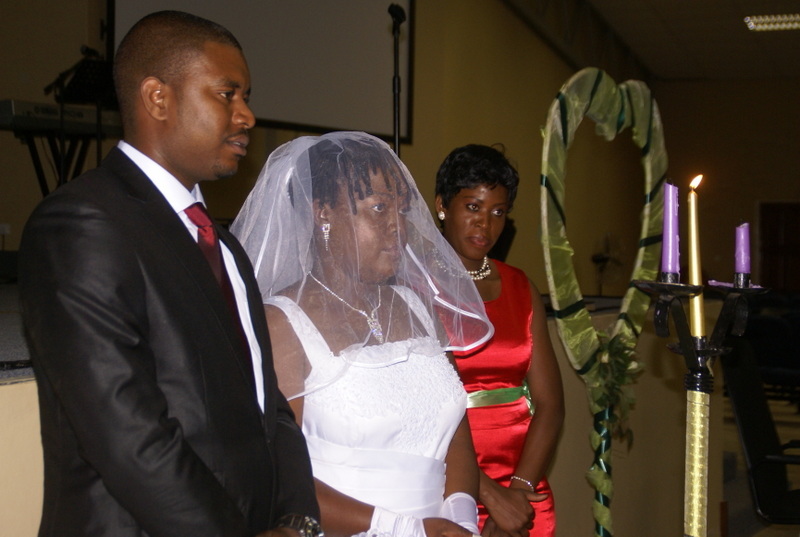 Hence, the wedding in church involved many thoughtful words and solemn praying. It was just the end of the ceremony which was being celebrated very cheerfully with lots of clapping, shaking and ululating (the archetypal way of African cheering). After a photo shoot with as many cellphones as proper cameras we drove to a property with wonderful gardens where the barbecue ought to take place. Yet, the service team was still placing chairs, decorating tables, installing sound and lights and furnishing the tent when we arrived. Although the guests were pouring in, the service team didn’t feel bothered or urged to rush. Although it probably took more than an hour until the barbecue was ready it didn’t trouble the atmosphere at all. 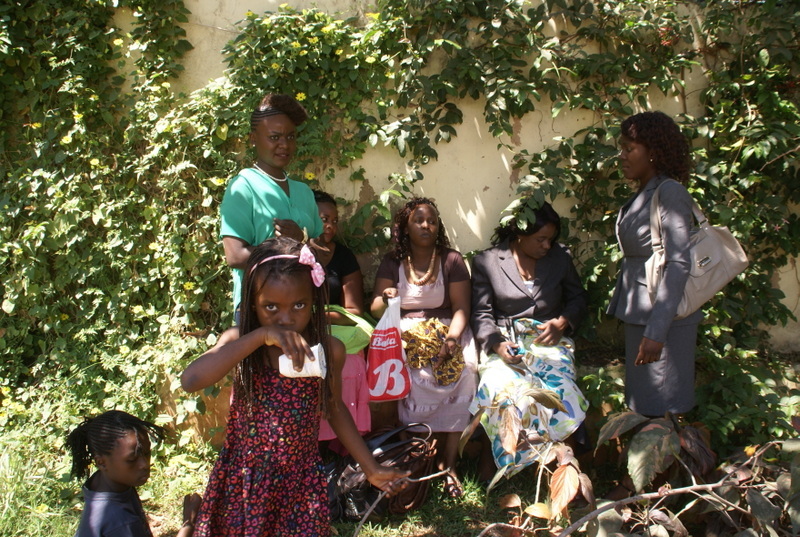 The guests just looked for a shady place to sit and wait while everybody was cheerfully chatting and laughing. 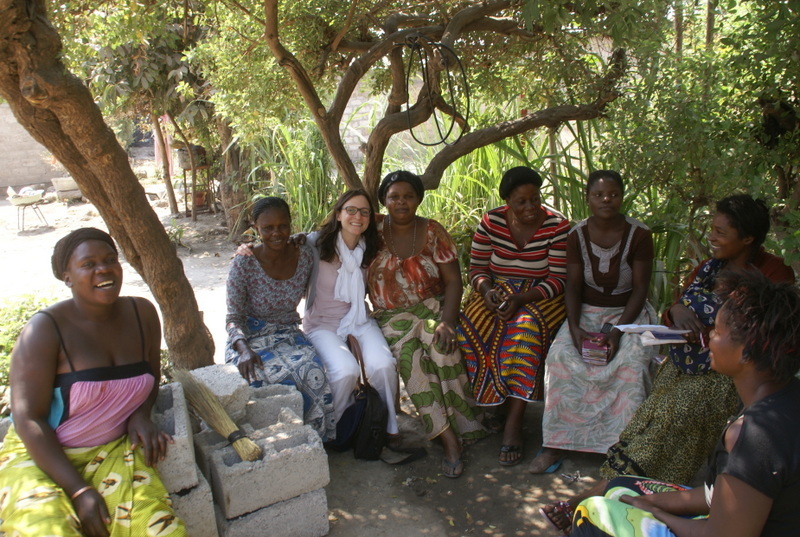 How relaxing it was, no anger, no shouting – something I so often experience here in Zambia. It just always works out somehow. 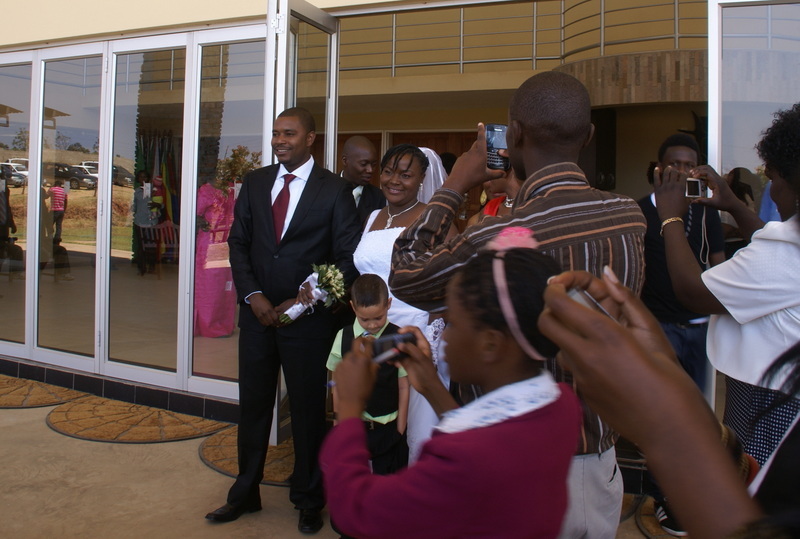 A huge ‘Thank you’ to Makaika and Miyanda that I could be part of their great wedding day! I wish them all the best for the mutual path of life! Categories: Friends & Leisure | Permalink. 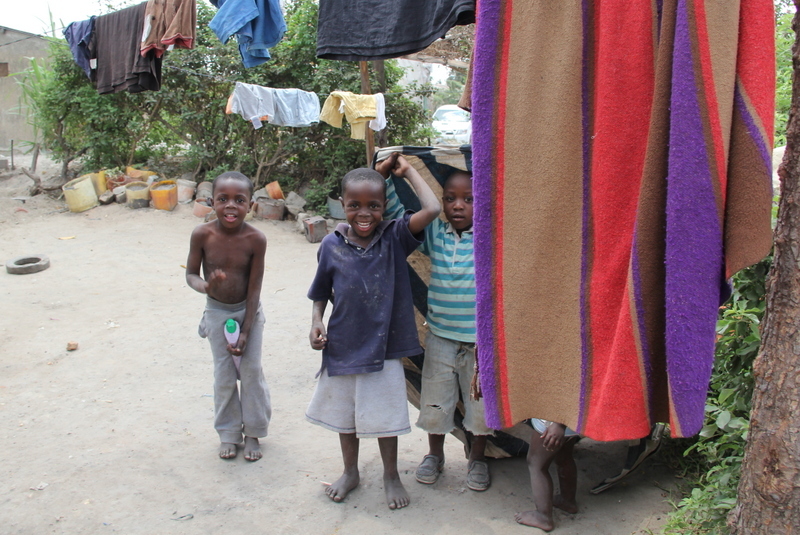 After a five-hour drive in the very crowded bus – there are five people in each row plus children and luggage – on very bumpy roads we finally reached Choma. FINCA’s Choma branch office is located in a pretty, yet small house, and the welcome by Laban, FINCA’s Branch Manager, and his team was very warm and heartfelt. We started straight ahead with the first interviews with some of the new clients. The whole day proved to be quite exhausting. So, after having bought some – not very tasty – food at the only supermarket in town, we were just happy to have found a peaceful even though quite basic lodge a bit outside of town. 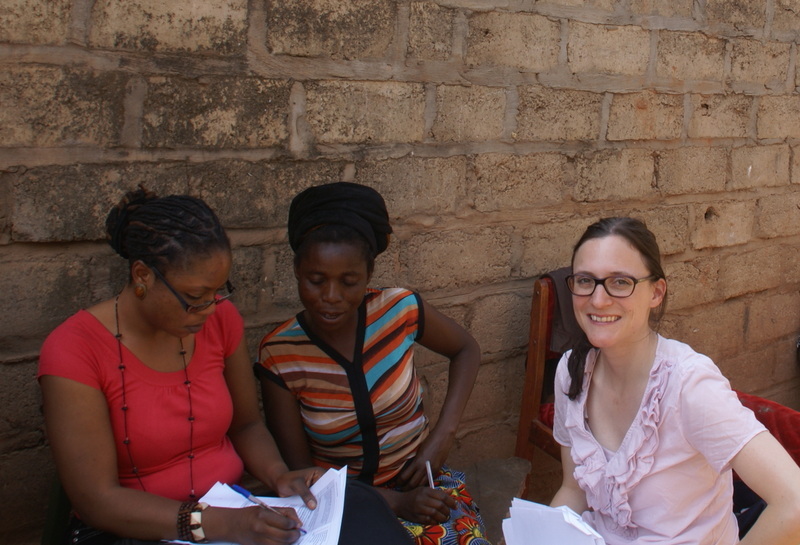 For the interviews we met one of the new Village Banking groups at Rebecca’s house. 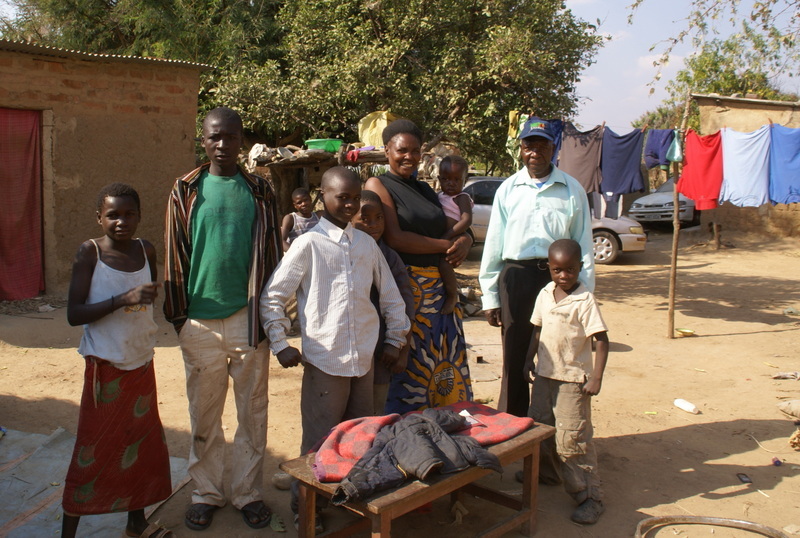 Rebecca lives there with her husband and nine children. Around her house she has got a lot of small animals – such as chickens, ducks and porks – which they use for their personal consumption. Rebecca is a lovely person. In order not to get dirty she even offered me one of her Zambian-style colourful skirts. One of her daughters, who works as a sewer, adjusted the skirt properly which is not an easy task to fulfill. On the third day, we travelled one and half hours to the north, thus in the direction back to Lusaka, to FINCA’s sales office in Monze. As there was no bus run by the much-praised “Mazhandu Family” we had to get on one of the really bad buses. It was as over-crowded as you could image, it smelt quite unpleasant and the bus was wiping like a barge in a hurricane. We were truly lucky that it didn’t break down completely. Without having eaten all day, we finished the required client interviews and we were happy to finally travel back in one of the popular blue-colour minibuses, paying even half of the price of the wretched bus before. 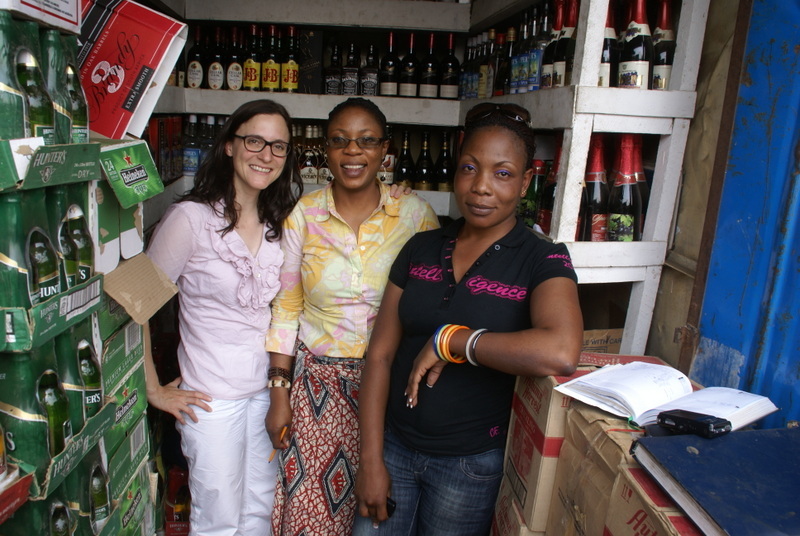 After two weeks of diligent preparatory work, I had finally been able to start with the client interviews in the field. 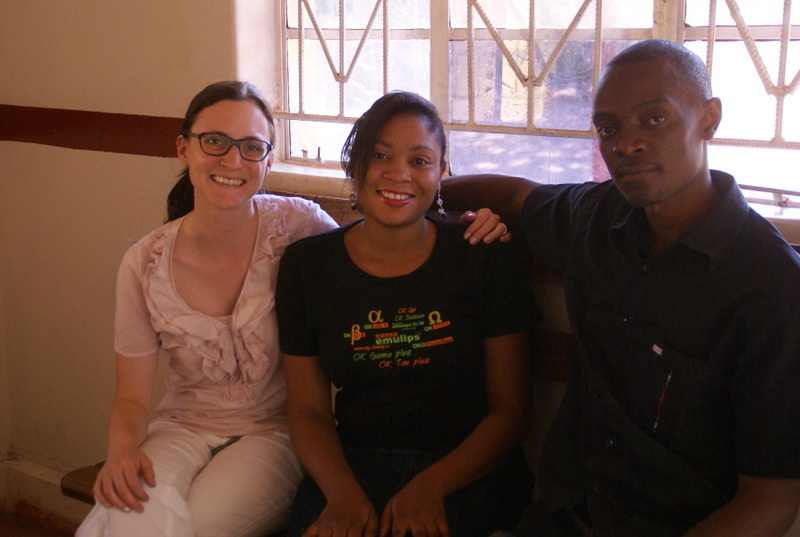 Together with Priscilla, who has been nominated as Social Performance Officer, I am going to conduct more than 300 interviews with new FINCA clients across all FINCA branches. 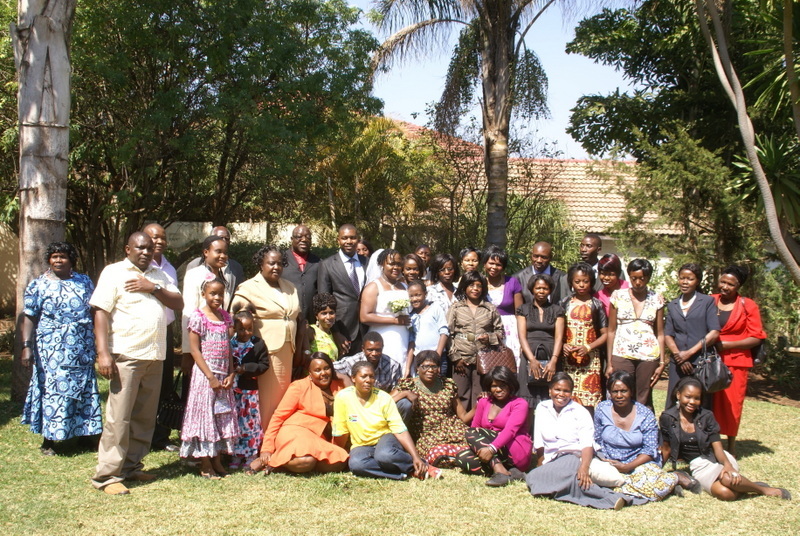 We have started in the headquarter in Lusaka and we will go to the FINCA branch in the southern city of Choma next. The branches in the north – Kabwe, Ndola, Kitwe – and in the east – Chipata (close to the boarder to Malawi) – will follow in the weeks to come. The interviews plus the financial analyses of the loans build the data basis for the resulting Social Performance Analysis. 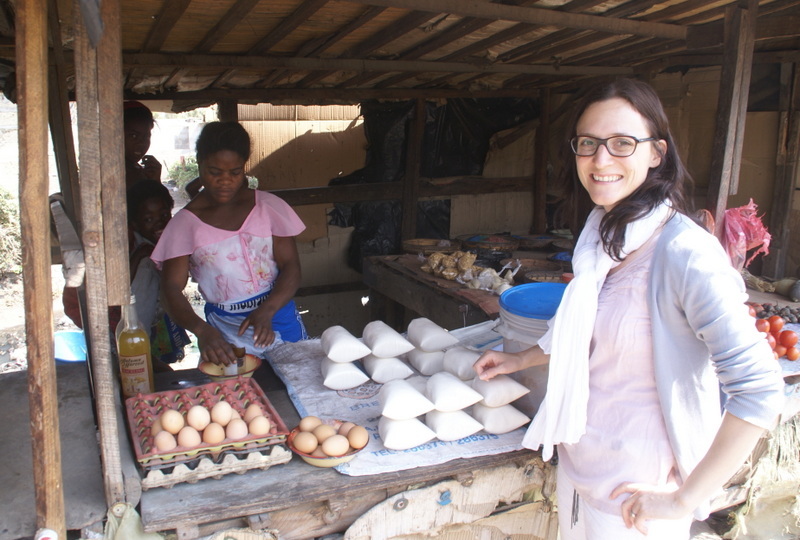 The focus of the Social Performance Analysis is on getting better knowledge of the living standards of the FINCA clients and on getting some indication to which extend the loans can improve the living standards of low-income entrepreneurs. I am really curious about the outcome but first we need to ensure to get comprehensive and reliable data from the interviews. As you may assume that proves to be quite a challenge in some respect. The first challenge is the timing. 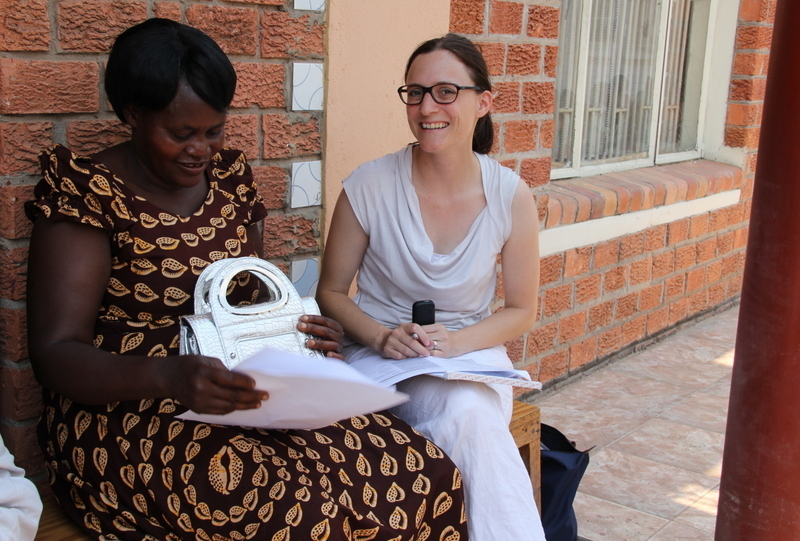 In order to collect data before the loan may cause any impact on the living standard, we try to conduct the interviews before the loan disbursement. This means that we have only a few hours or days between the loan application and the disbursement to conduct the interviews. That is why we try – whenever possible – to join the Loan Officers at their visits of the clients’ businesses for the financial analysis – as we did last week with Oliver and others. This way we can avoid the hassle of trying to find the precise market stall in an overcrowded market place or in a compound (township) with hundreds of houses but no street names. Most clients we have visited are active in agricultural and retail trade such as selling shoes & clothes, chicken & vegetables or alcohol & tobacco. The welcome is usually very warm. We are always offered the only chair they have got while they sit either on a straw mat on the ground or on any other item to be used as a seat. 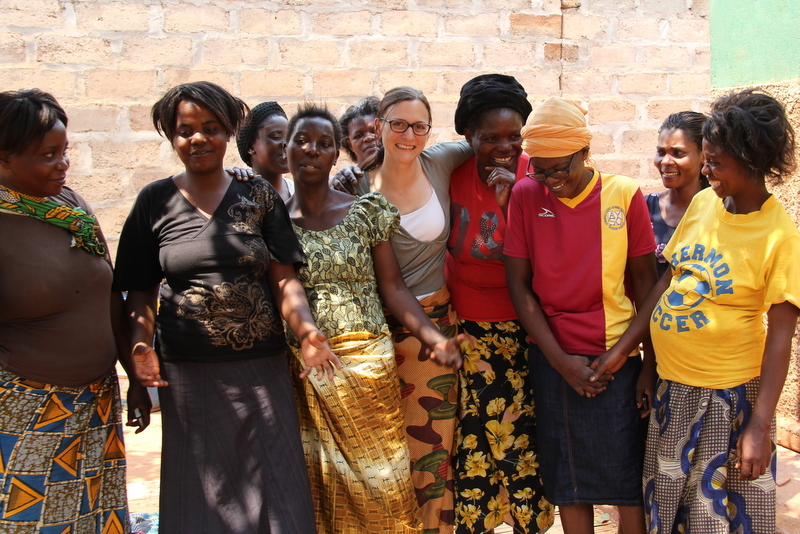 Even though most of the clients speak some English, Priscilla translates our questions into one of the more common Zambian languages (there are more than 70 idioms in Zambia!) so that the clients feel more comfortable. Apart from the personal data, the number of household members and the type of business they are in, we basically focus on their living expenses for food, transport, rent, telephone, shoes & clothes, health as well as education expenses. For them as for us, it is not easy to come up with a good estimation of those expenses. Some of the interviewed clients even struggle with their personal data such as their date of birth or their home address. Thus, to get reliable data is another challenge we face. 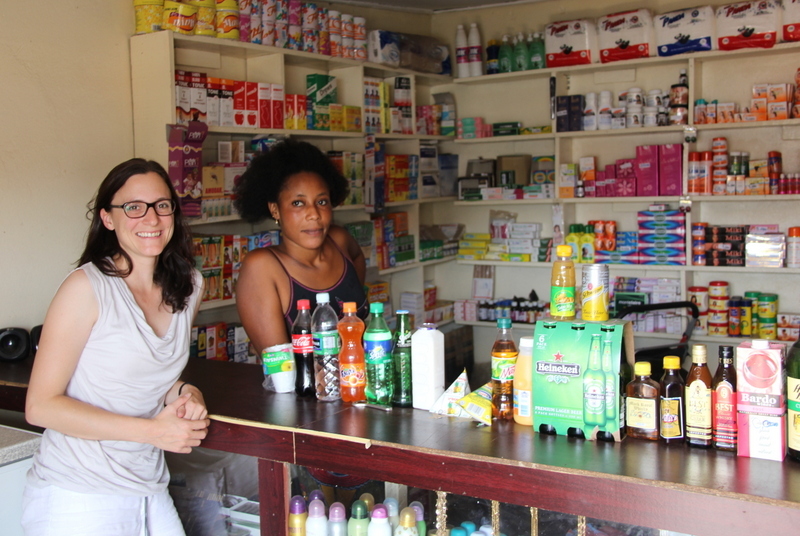 After being well introduced in the project and the loan business, I took the opportunity to join Vasity and Mabvuto, two FINCA Loan Officers, to get a closer insight into the field work. It was a great experience which I enjoyed immensely. I was particularly impressed of how professionally Vasity and Mabvuto manage their Village Banking business and of how warmly I was being welcomed by the people in the compounds. 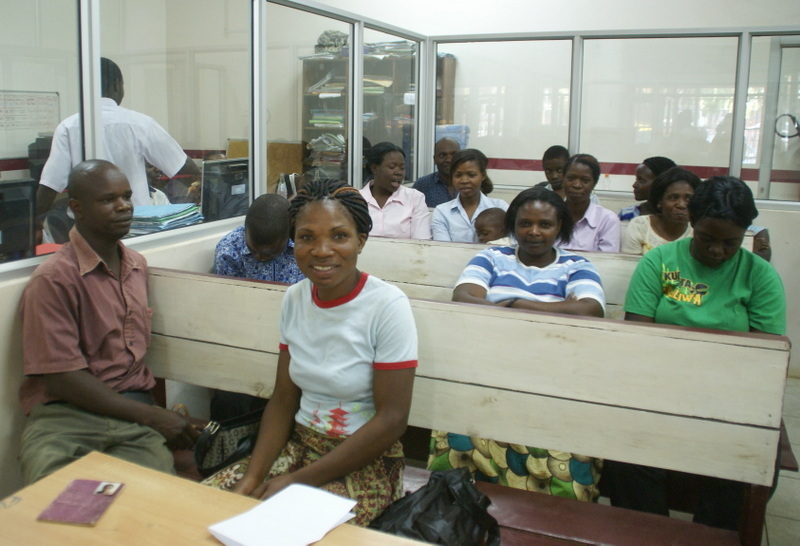 Village Banking was launched by FINCA Zambia more than 10 years ago. It has been one of the most successful products. 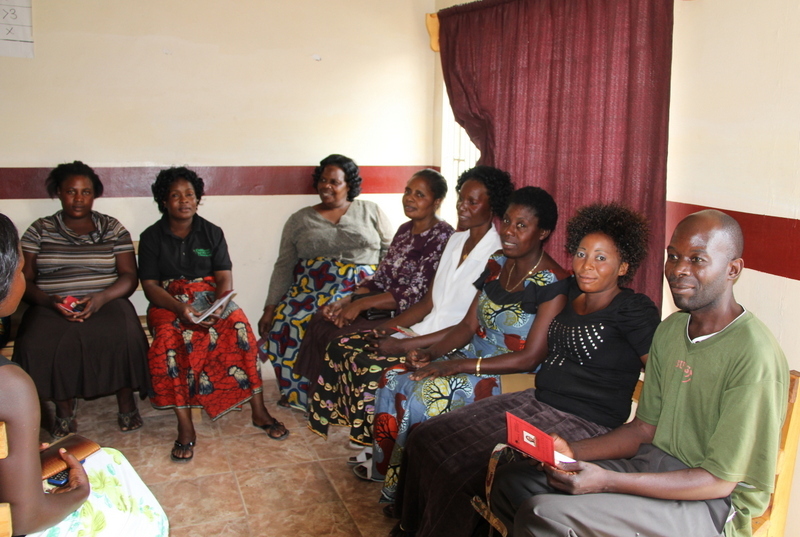 Apart from Village Banking, FINCA Zambia also offers Small Group Loans for groups of five entrepreneurs and Business Loans for individuals as well as Insurance and Savings Plans. 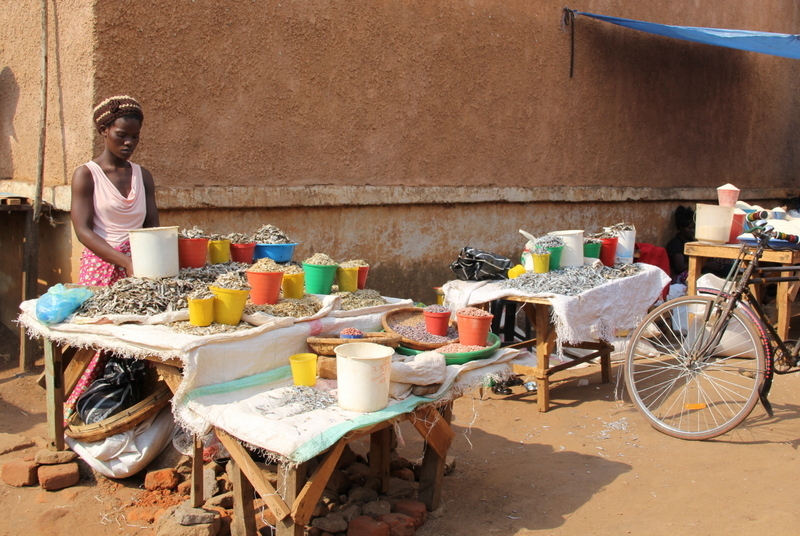 Village Banking is designed to reach the poorest of the – still working – poor. 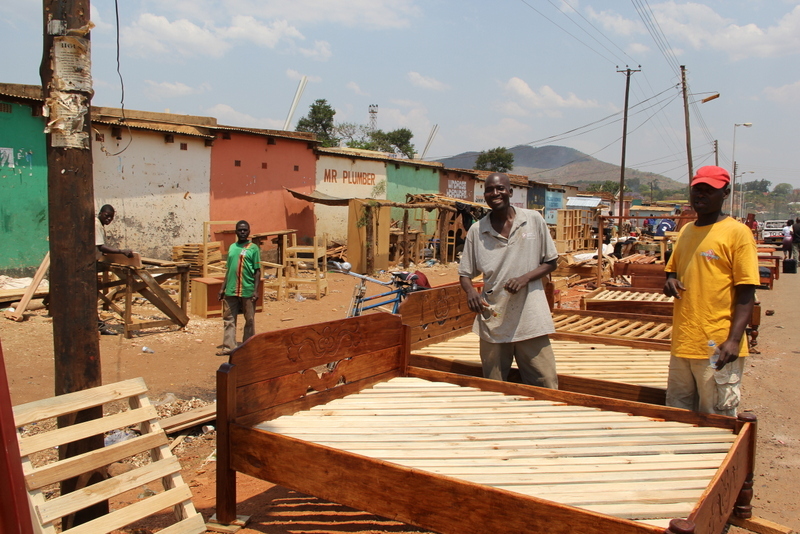 As they lack any access to working capital, the small loans help them to build and further develop their businesses so they can earn more, become part of a larger marketplace, create jobs for others and thereby improve their families’ well-being. 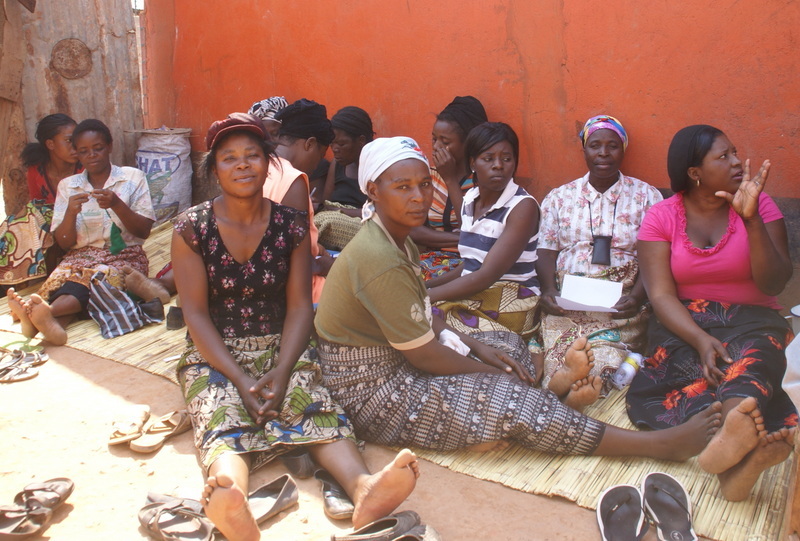 Village Banking includes neighbours coming together in financial support groups called “Village Banks” of a minimum of 15 up to a maximum of 35 micro-entrepreneurs. 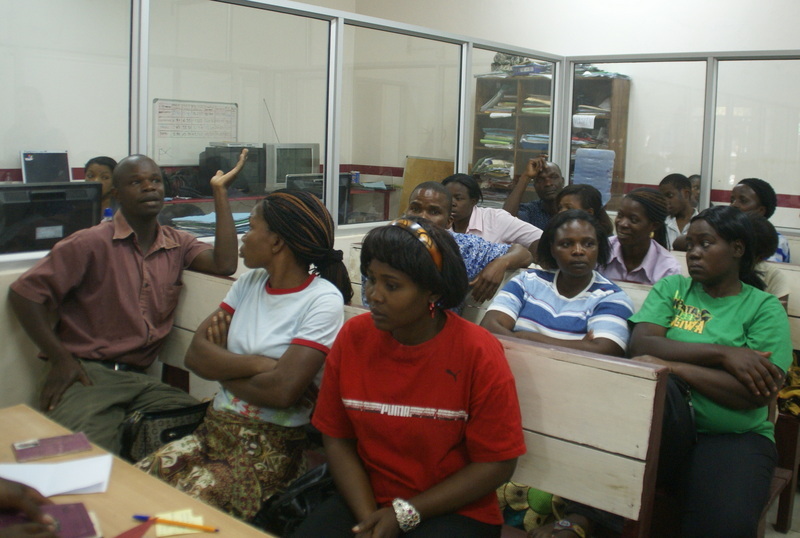 In a few sessions they get trained by the Loan Officers – as by Vasity in one of the compounds close to Lusaka. 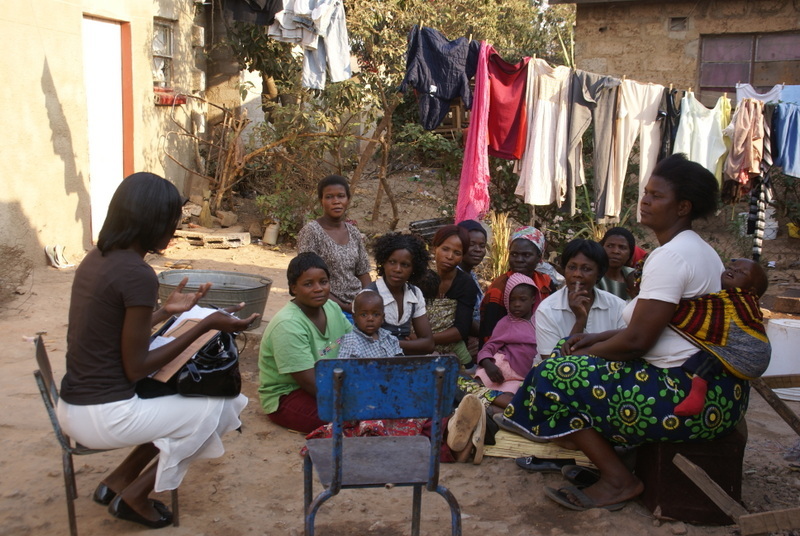 They get informed on how Village Banking works, what the benefits and what the conditions are. 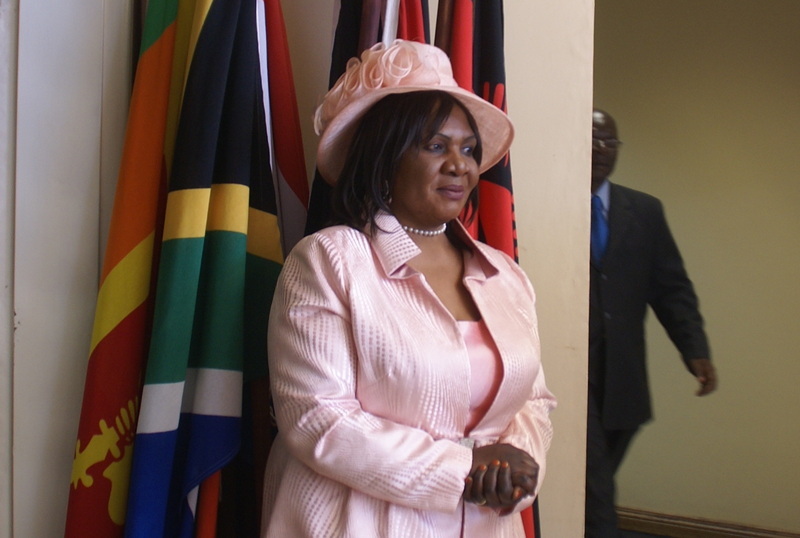 As soon as everything has been clarified, they prepare their loan application and they decide on a group name and on roles such as Chairperson, Vice-Chairperson, Secretary, Treasurer and even Police. Even though the loans are small, it is crucial to evaluate their business thoroughly by collecting information on their income and expenses before the loan is being granted. Because the clients have little to offer as collateral, it is the whole group which guarantees the loans. The analysis of their business and living standard takes primarily place in the field. 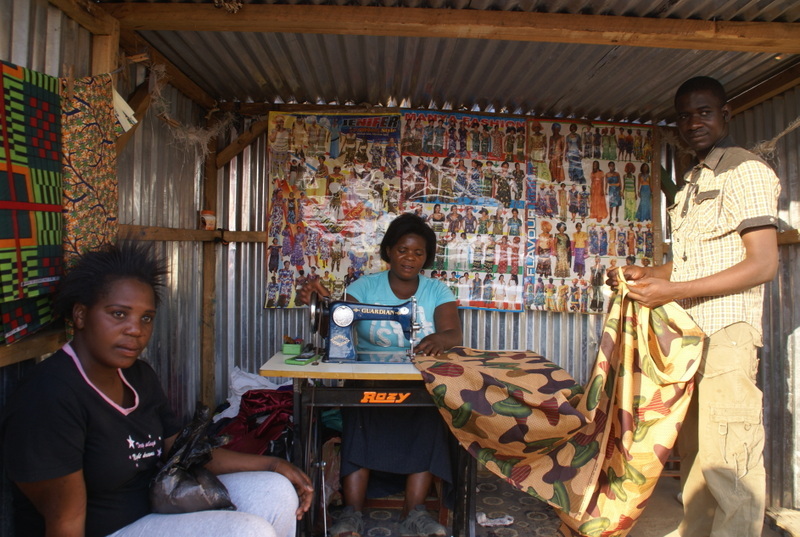 The Loan Officer visits the working places as well as the micro-entrepreneurs’ houses – as I was doing with Mabvuto at a small store and on the market in one of the compounds close to Lusaka. The Credit Committee decides on the loans and the loan amount. The disbursement of the loan takes usually place at the FINCA office whereas the fortnightly or monthly pay-back is being conducted in the field. If the group works well they can apply for a next loan, which – depending on their success – may even be raised. The way out of poverty is long and challenging, but my first experiences in the field indicate that there are indeed promising ways. I aim at receiving answers on how those promising ways can be triggered and supported. I will keep you posted with my results and assumptions. 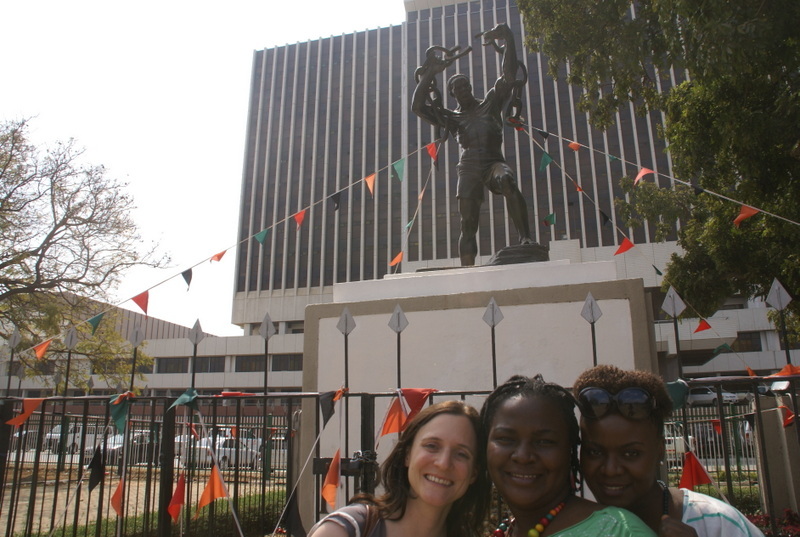 On my first weekend in Lusaka I took the chance to get around in town. 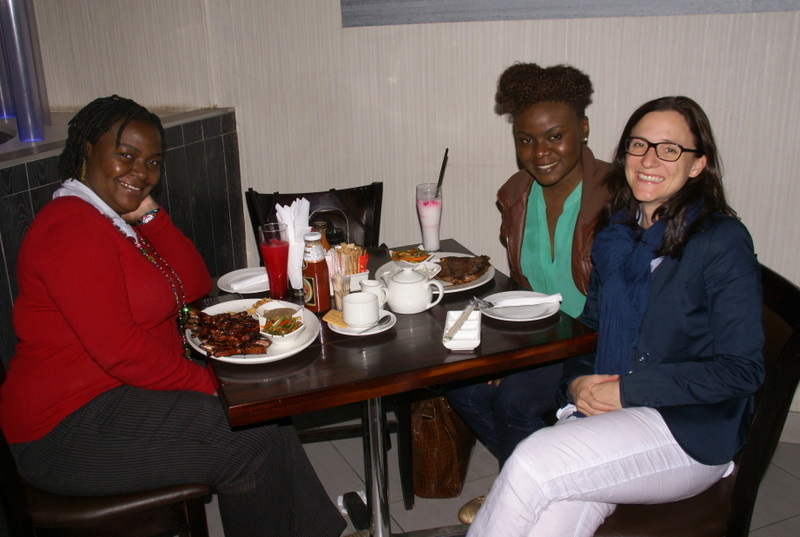 Together with Zambian-born Chibesa (currently on a Credit Suisse assignment in education), Makaika (her sister living in Lusaka) and a colleague of theirs we were visiting the main spots in Lusaka. Even though my guidebook is quite comprehensive, Lusaka’s places to go sum up to less than a single page. Yet, the most lasting impressions were indeed those you didn’t find in the guidebook. 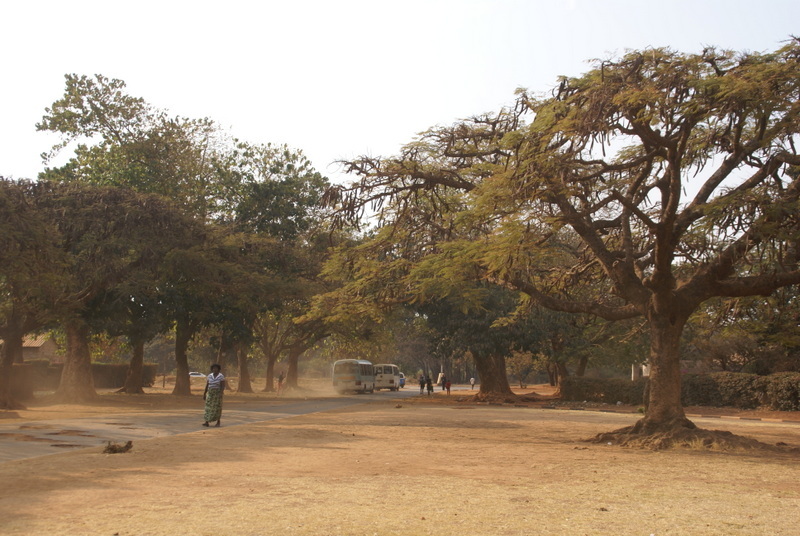 I immensely enjoyed strolling through the less known parts of Lusaka as this is probably more of today’s “real Africa” than any of Zambia’s beautiful national parks with their carefully preserved flora and fauna. The main transport vehicle here in town are the blue-colored minibuses. Even though you find them everywhere, it is quite challenging to get on the right one. There are neither maps nor signs to help such newcomers as me. The only somehow promising way is to ask around and to hope for – at least – two corresponding answers. As you are ready to decide for a certain minibus always search for a fully-packed one as the minibuses only leave when they are as full as one can possibly think of. 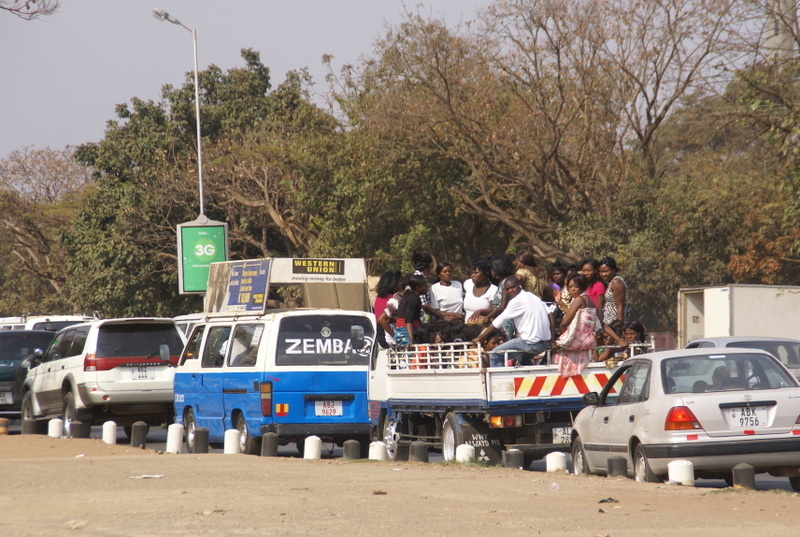 The fares basically depend on the driver but compared to many other things in Zambia like accommodation, food or taxis, which all are extraordinarily expensive, with ZMK 2,000 (USD 0.40) minibuses are cheap. 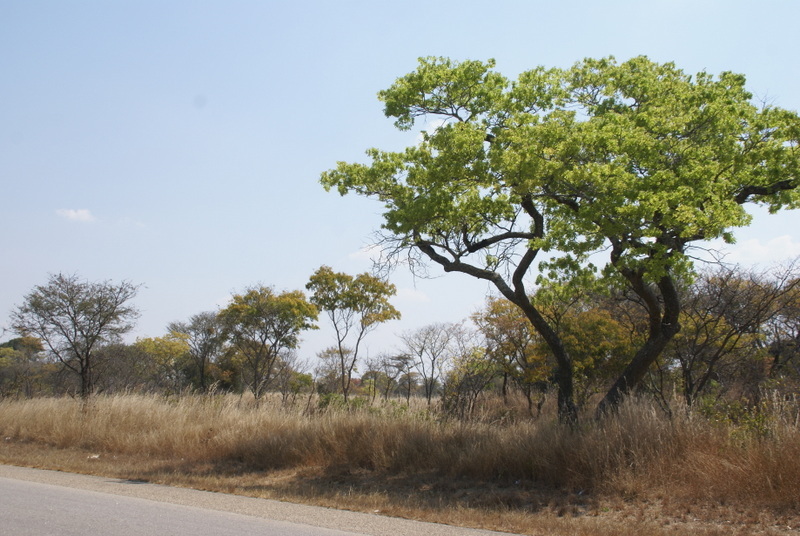 Most roads are unpaved and therefore fairly dusty but the trees to both sides of the roads give the town a welcoming green touch. Our city tour included the National Museum with a selection of impressive colourful paintings and figures, the main avenue Cairo Road with lots of small shops, and some busy street markets such as City Market at Lumumba Road where you can buy everything from clothes and food to IT equipment and even gravestones. Of course, we didn’t miss to take pictures of the Statue of Freedom which commemorates the victims of the war of independence in front of the UNIP party headquarter at the Independence Road. 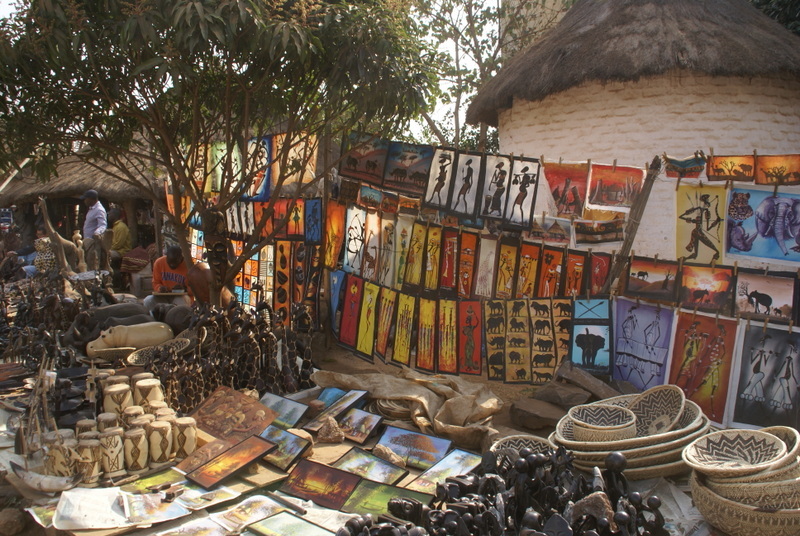 At the Kabwata Cultural Village we found lots of wonderful handmade Zambian handicrafts. As I haven’t yet quite figured out a way to get it transported back home to Switzerland, I prevented myself from buying some very nice tall wooden figures. 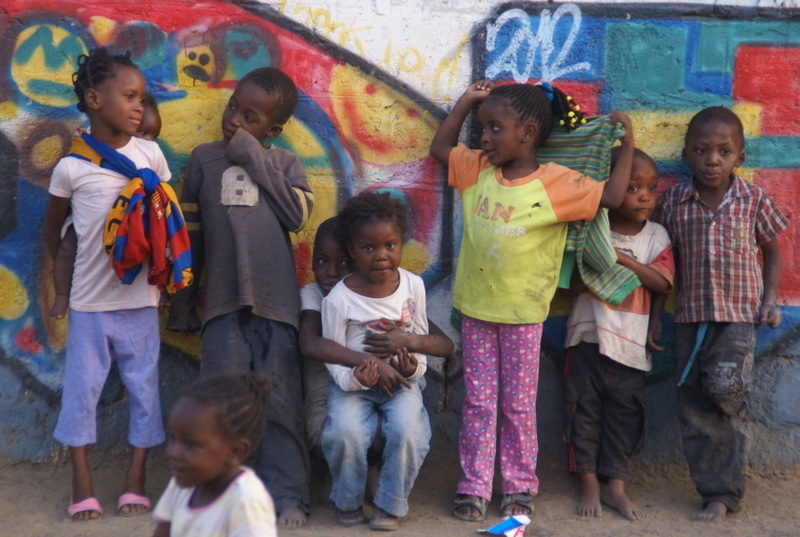 Around the town centre, you find the main residential areas – the wealthy neighbourhoods with big houses surrounded by high walls with security guards as well as the so-called compounds such as the Garden, one of the oldest townships in Lusaka. Even though people are poor and have to feed 5 to 6 children on average, I was impressed how well-kept some of the huts and small houses looked like. In the Garden compound they have started to embellish the area with nice colourful wall-paintings. Moreover, it was cheerful to see how much fun the children have while playing football or dancing on the streets. Of course, their daily life is quite different. Most of them hardly get any opportunity to be properly educated, which would be crucial for improving their living standard. 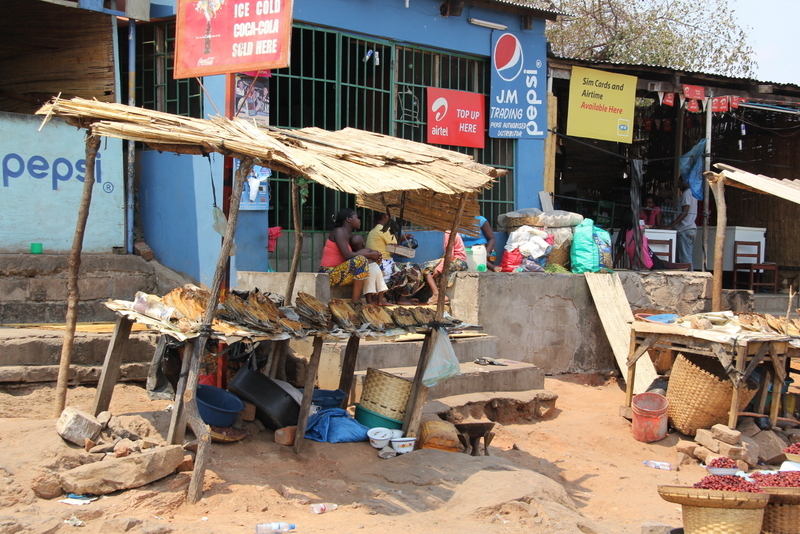 At best, they are able to establish small business, but many, particularly men, get addicted to alcohol and may even end up in criminal gangs. It is noble duty to take care that Zambia’s promising economic development will succeed in trickling down to the less-privileged parts of the population. Categories: First Days | Permalink.